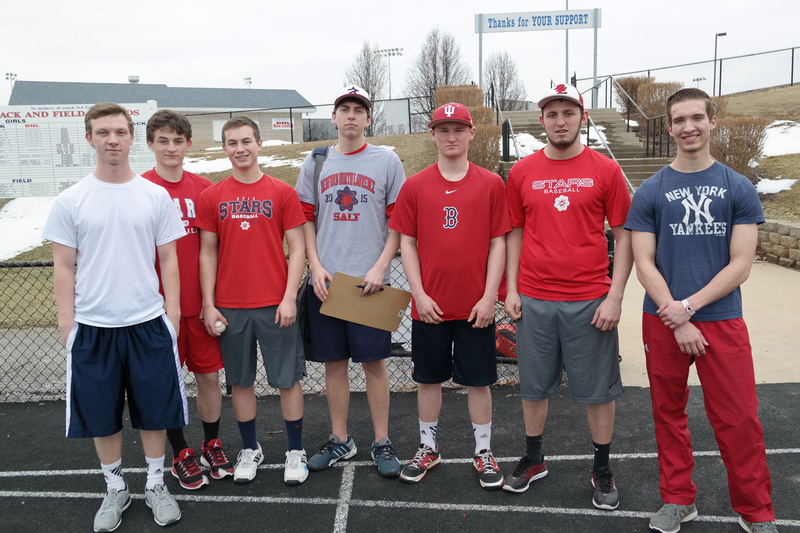 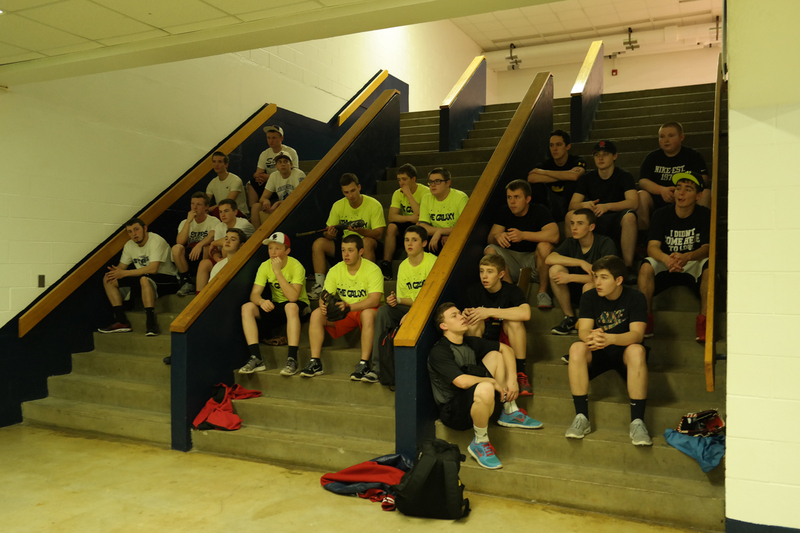 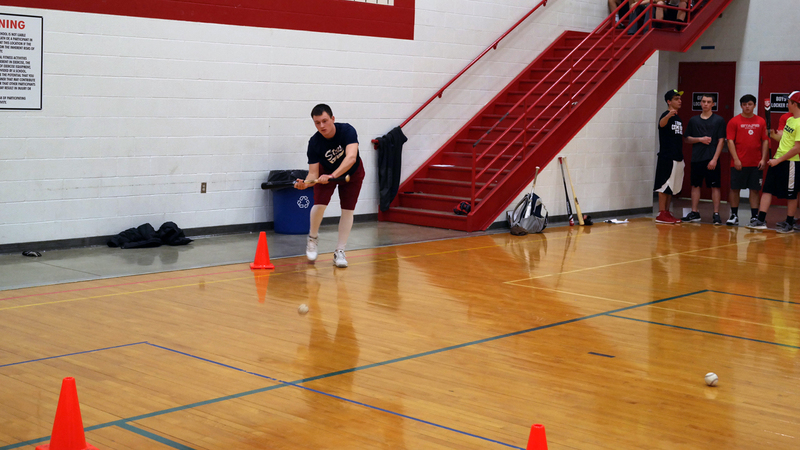 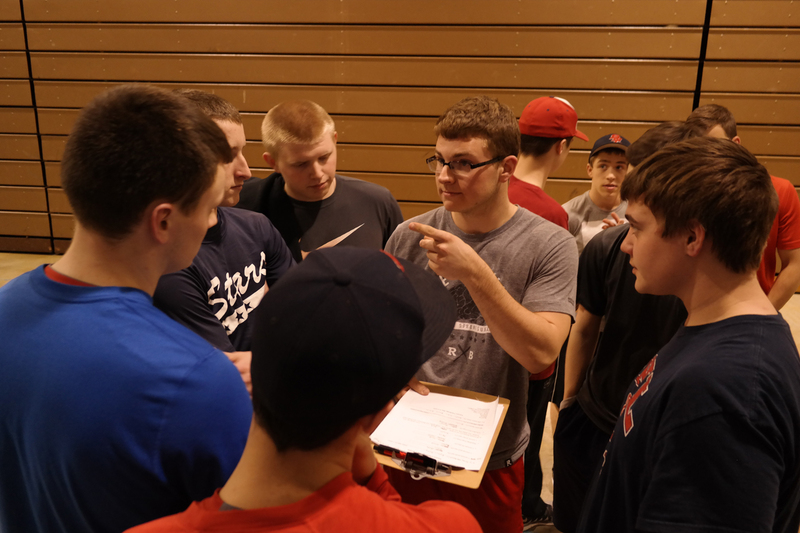 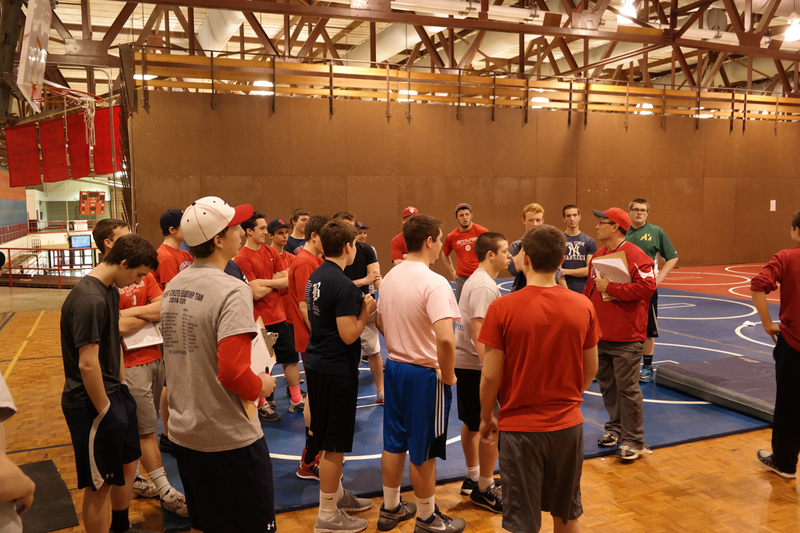 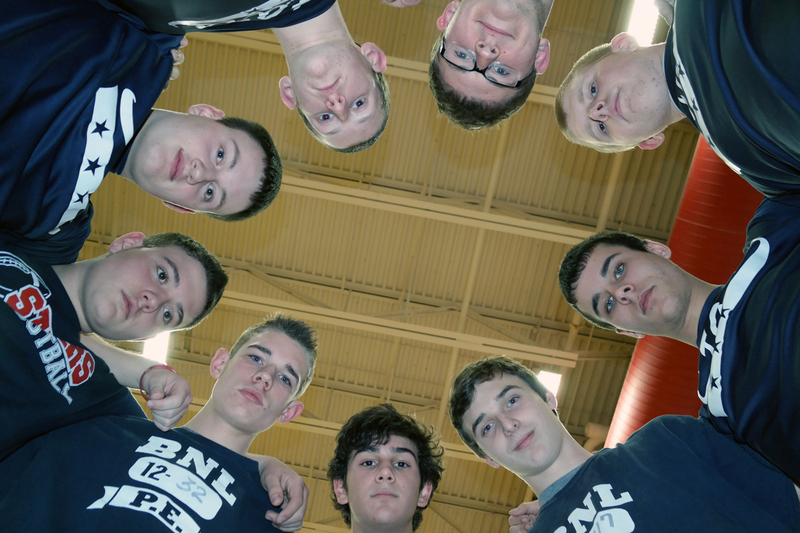 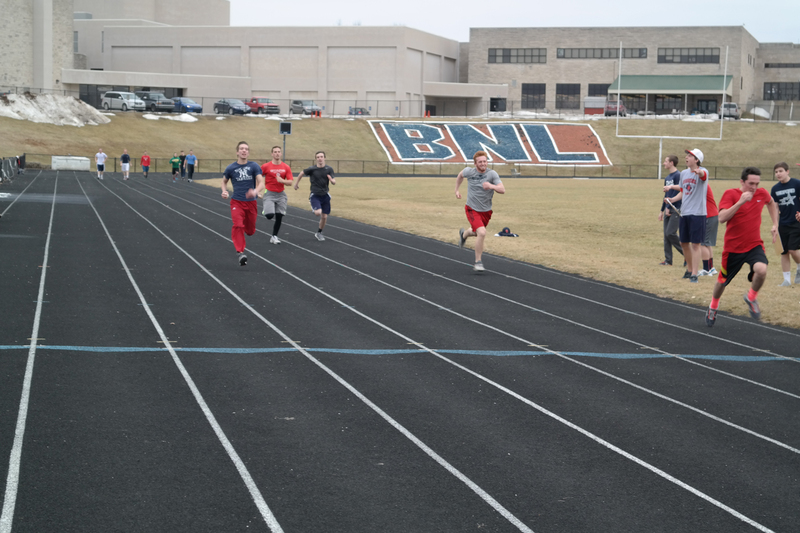 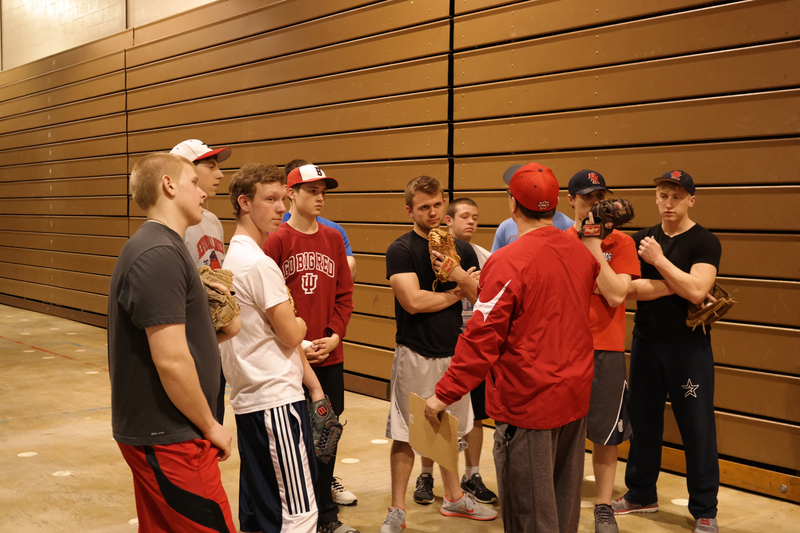 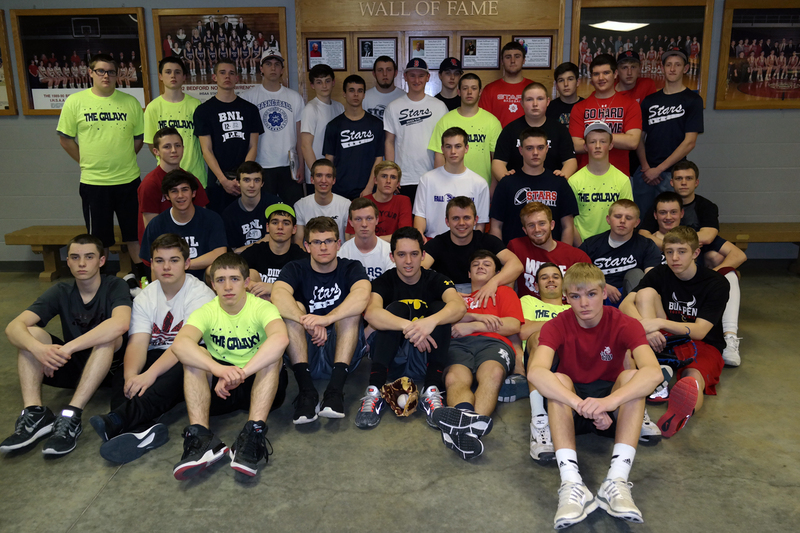 The second annual Victory Challenge was two days of intense, action packed competition for the BNL Stars Baseball program. 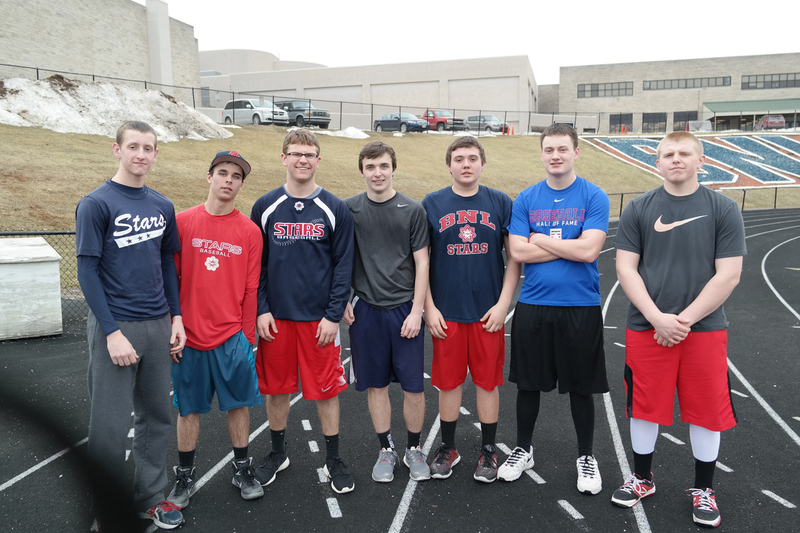 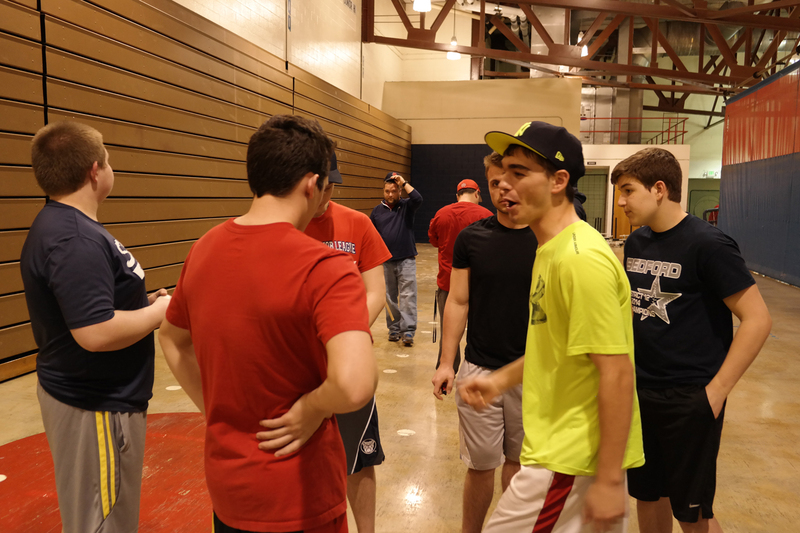 Team captains Jack Green (Green Team), Dylan Ragsdale (Blue Team), Johnny Underwood (White Team), Jake Alvey (Team Black) and Patrick Price (Red Team) slotted their team members into 12 individual and 5 team events to test strength, endurance, speed, and knowledge. 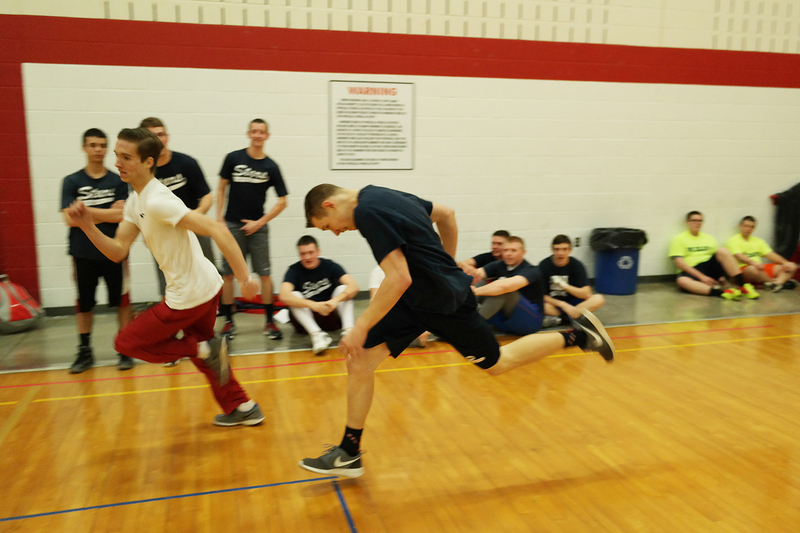 Day 1 ended with Team Underwood holding a slim four point lead over Team Alvey 68-64. 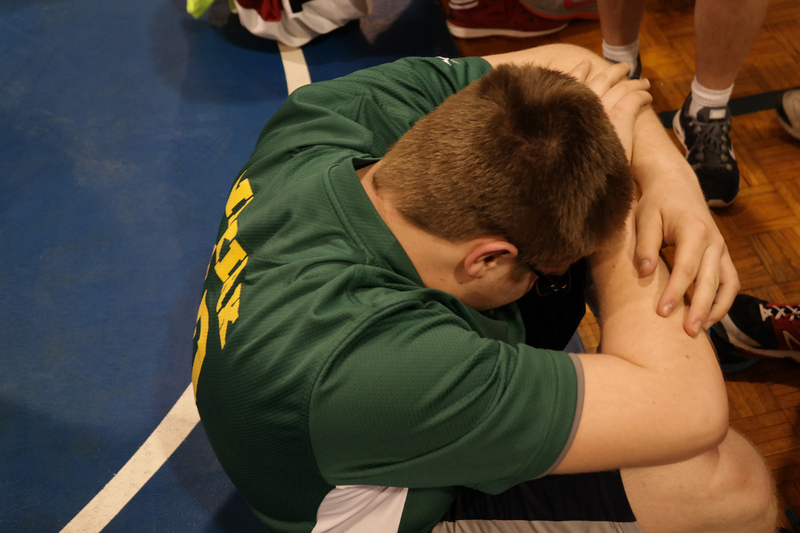 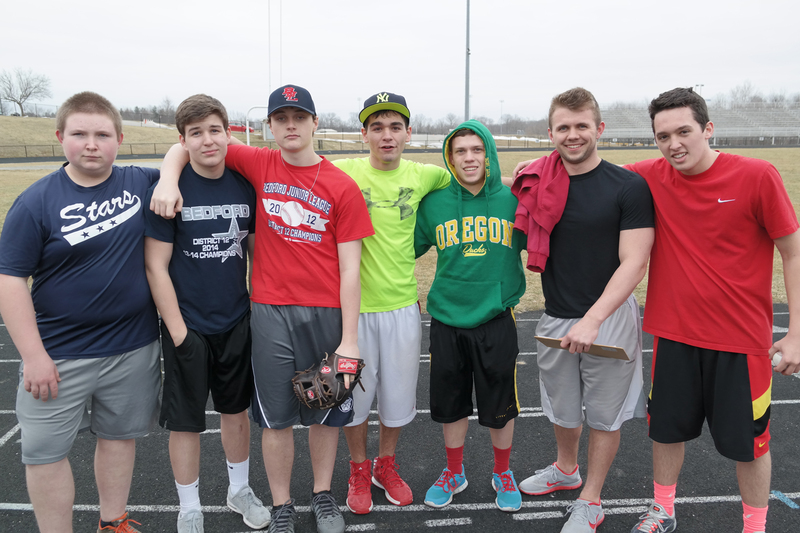 Team Ragsdale remained within striking distance with 60 points. 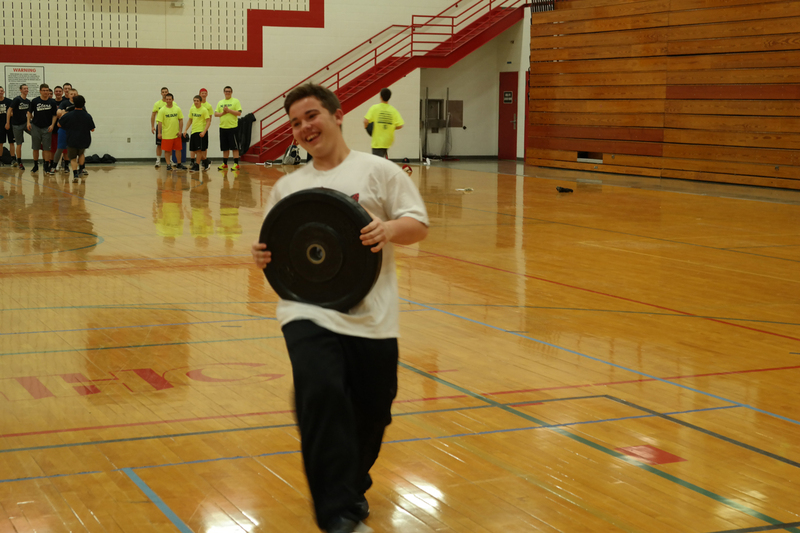 Highlights of day one: Event one featured the 35 lb. 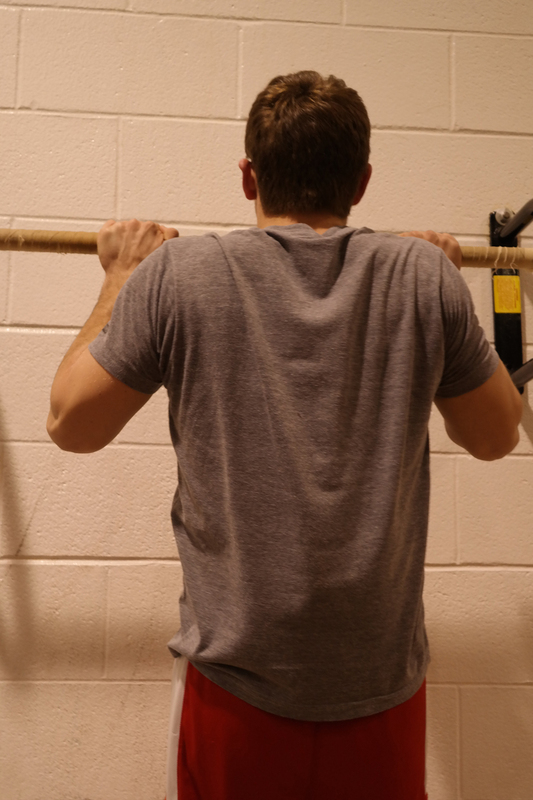 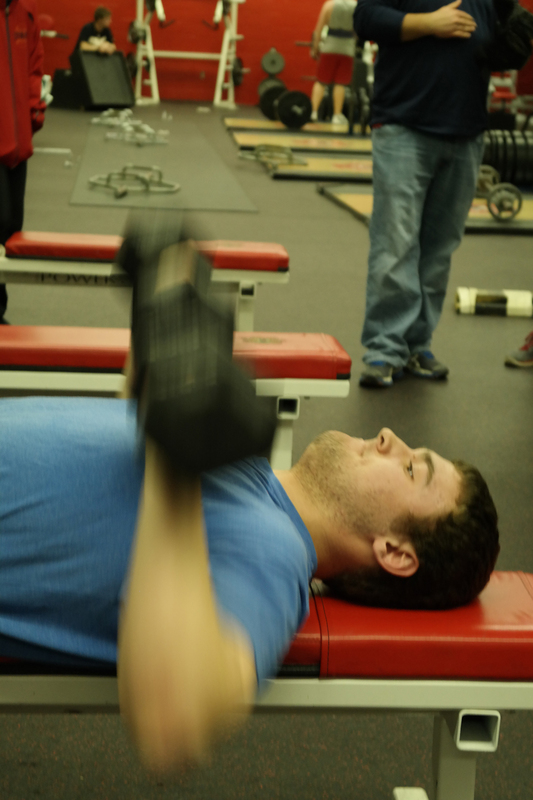 dumb bell press. 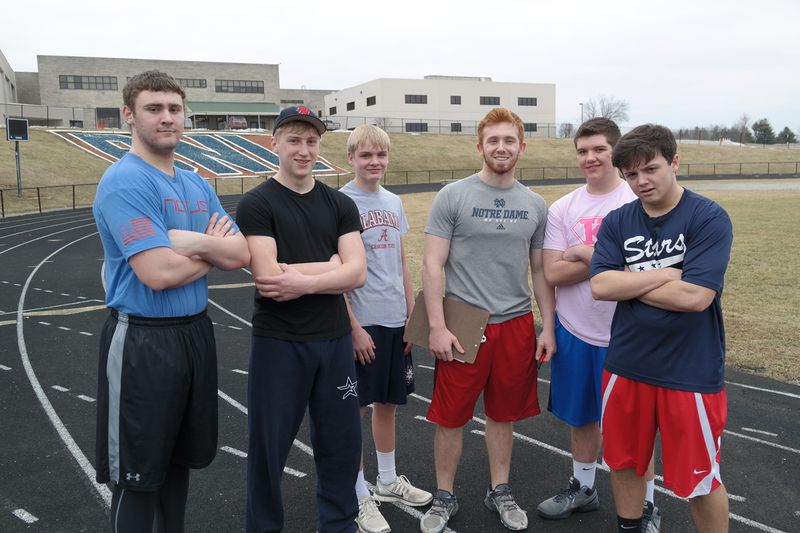 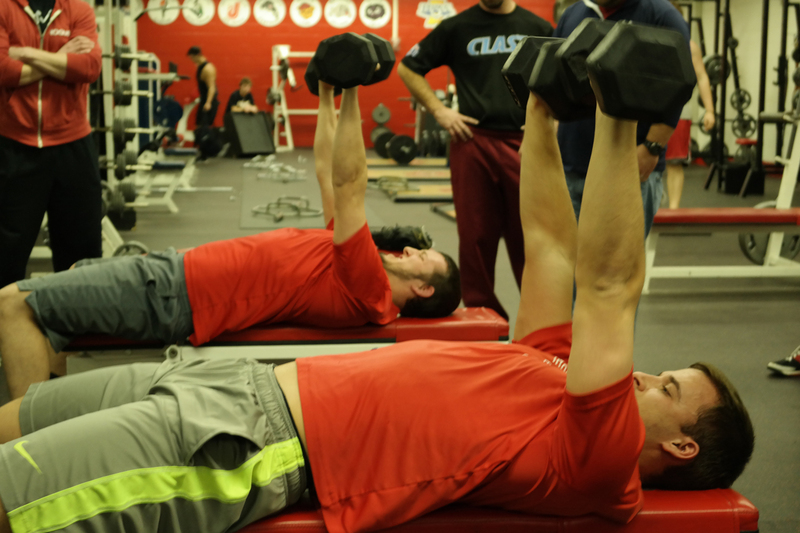 Two captains showed the way with Jake Alvey and Dylan Ragsdale tying with 61 reps each. 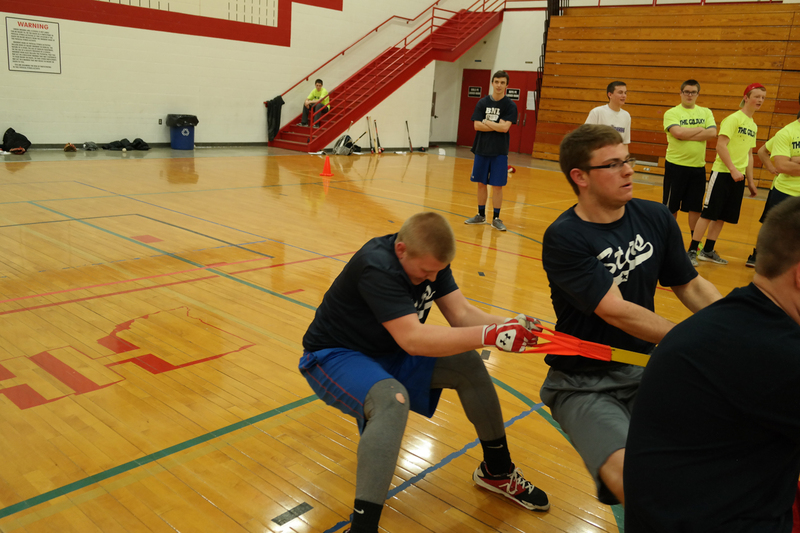 Austin Long scored for the Red team with 58 reps, good for 3rd place. 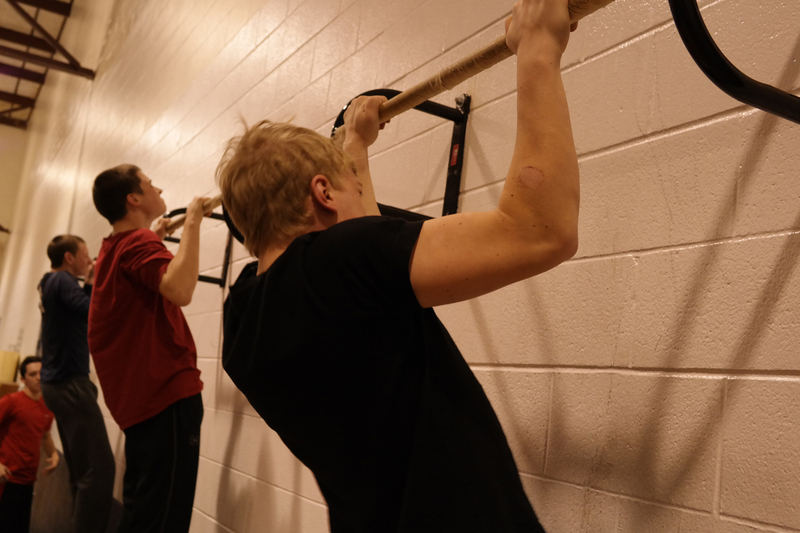 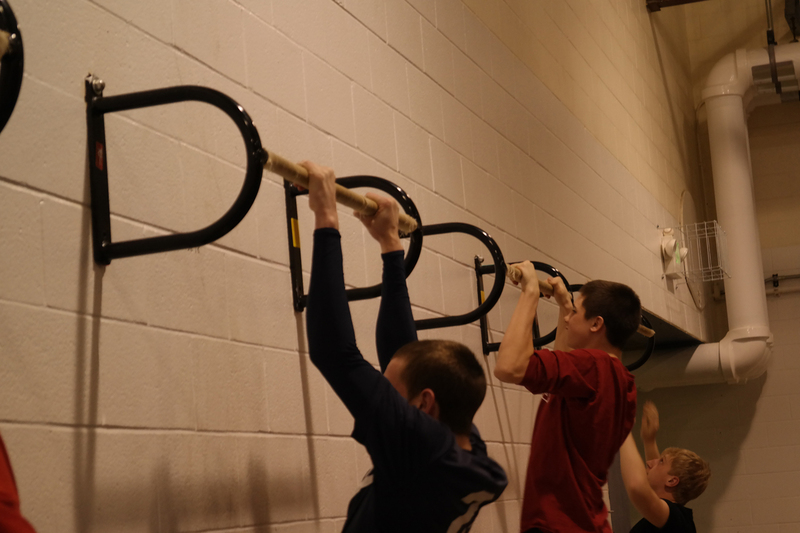 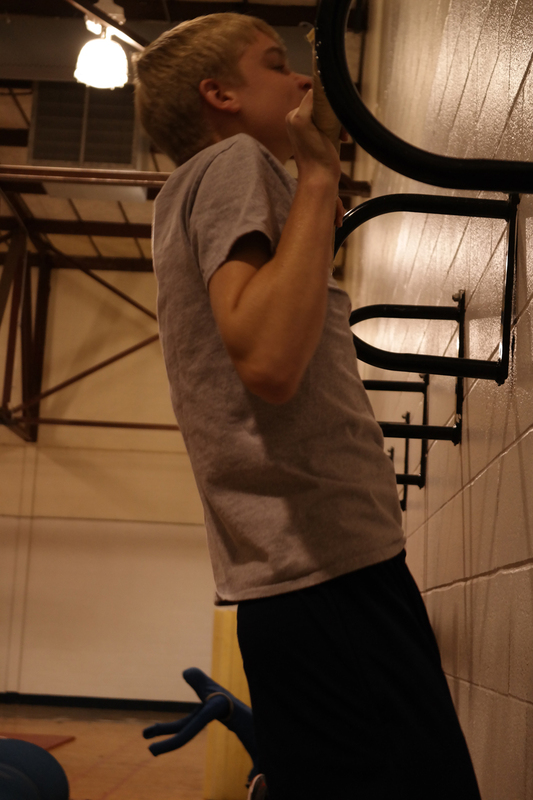 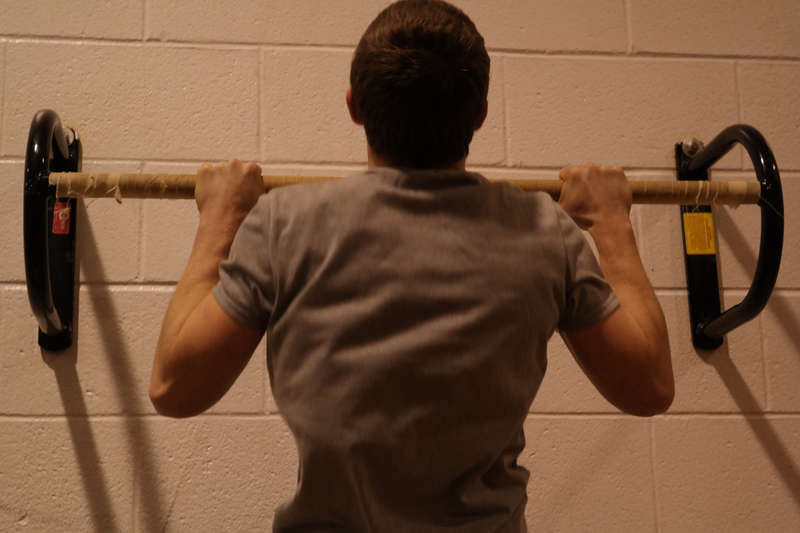 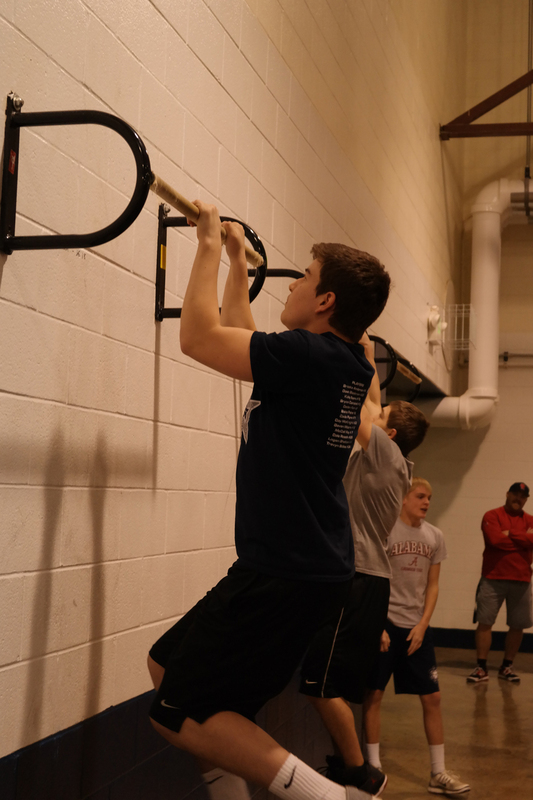 The next event included impressive displays on the pull-up bar as Michael Underwood, Jaden East and Dylan Allman maxed out with 19 pull-ups in one minute. 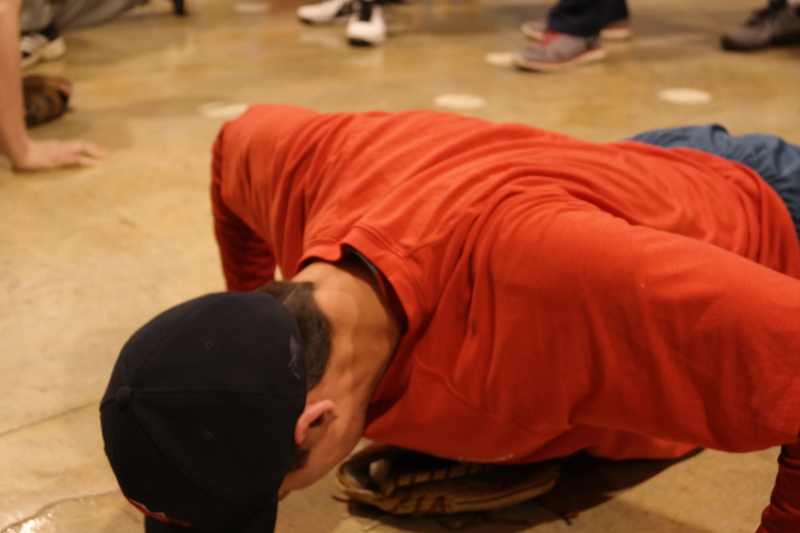 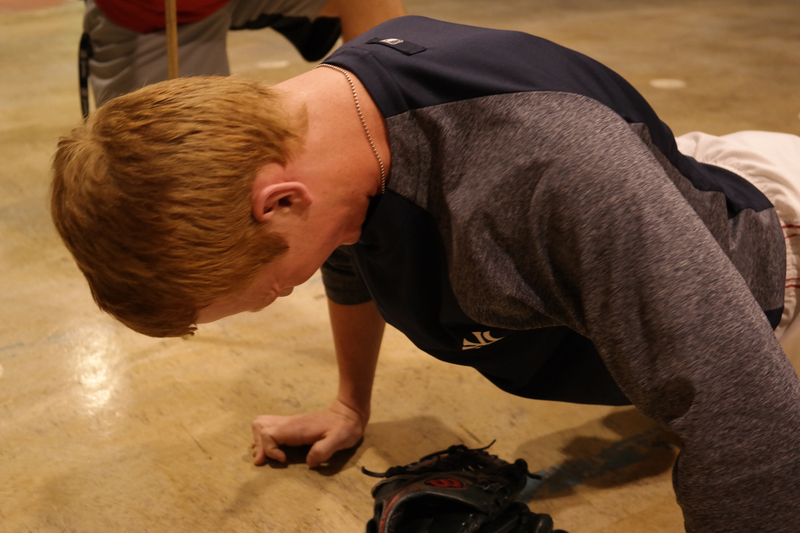 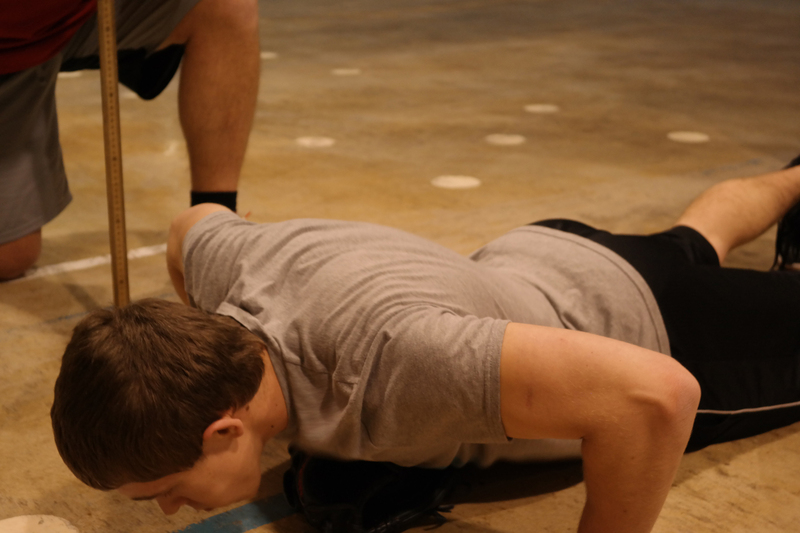 Team White’s Ronnie Watson won the one minute push-up competition with 63 followed by Red Team members Patrick Price 57 and Jackson Bartlett 56. 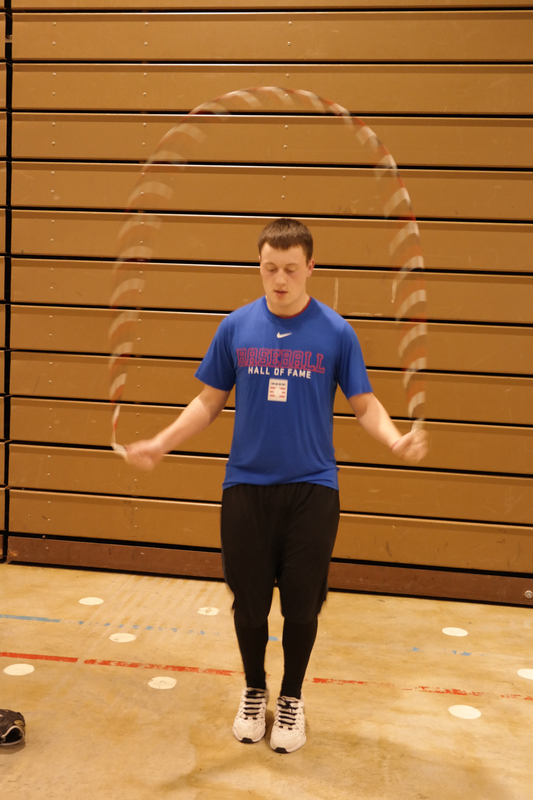 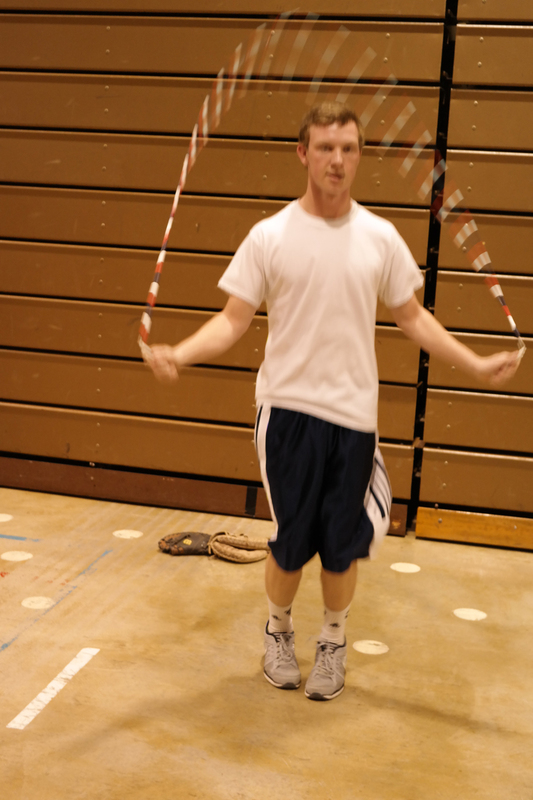 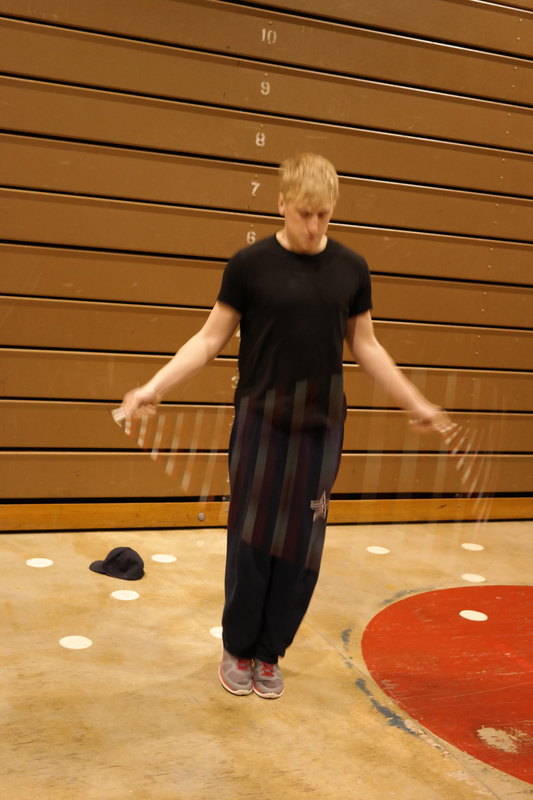 In the one minute jump rope, Drew Hensley held on to defeat Brandt Callahan 161-150. 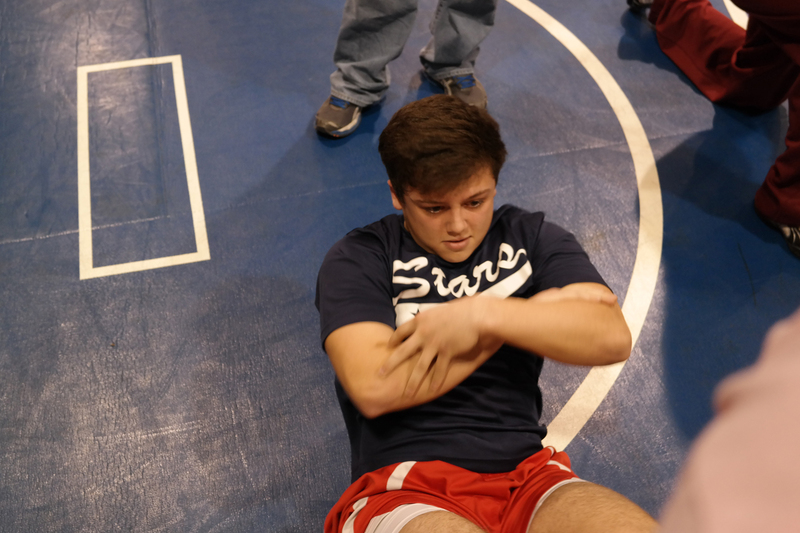 Ben Barker scored a 3rd place finish. 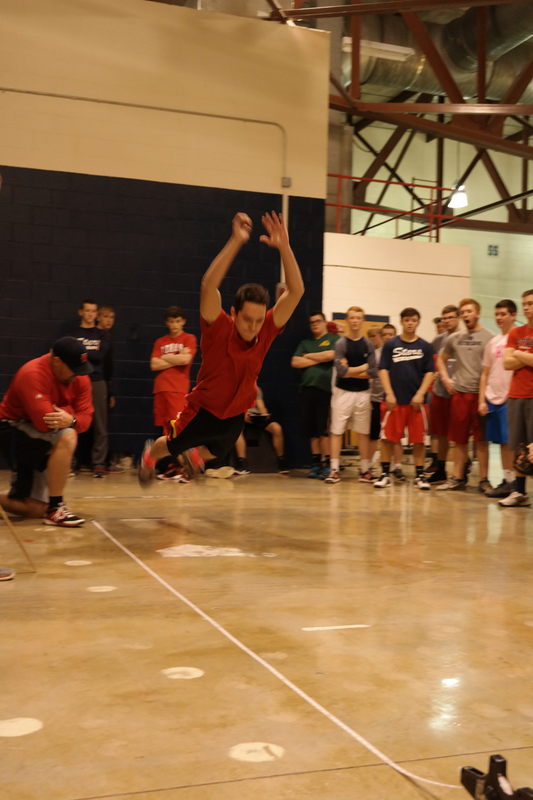 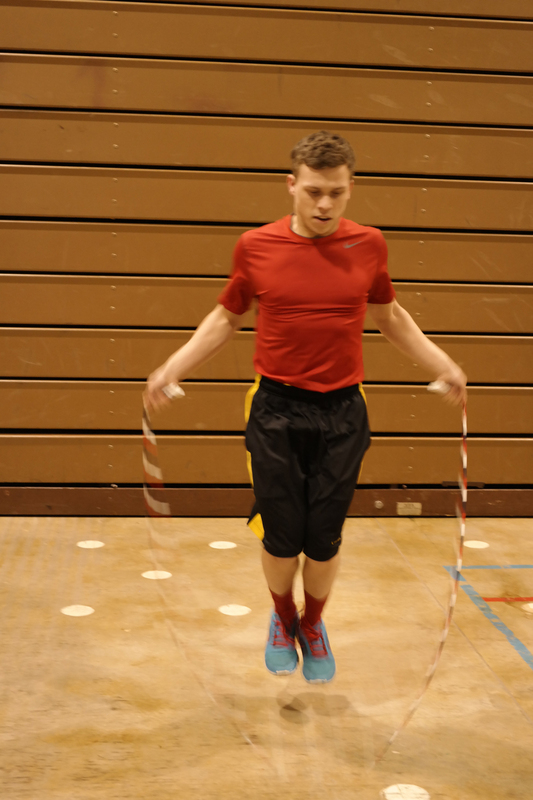 In the standing long jump, Caleb Bowman saved his best for last. 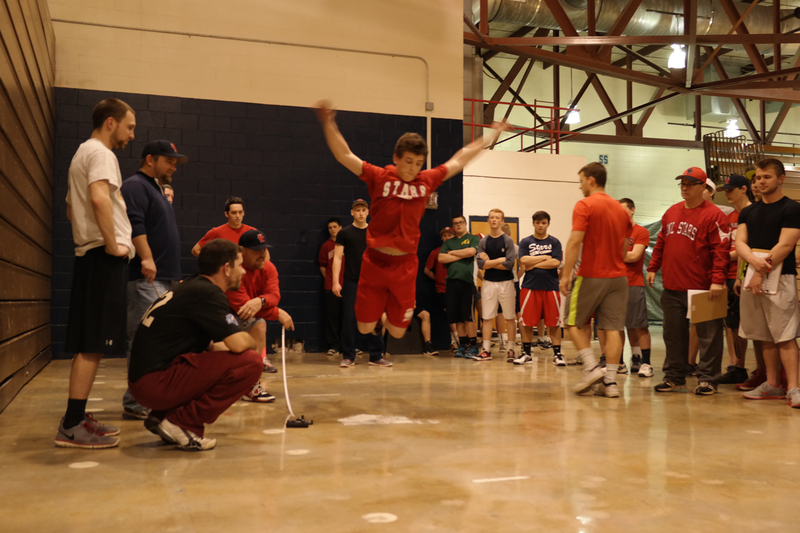 On his last jump, Caleb went 8’11” to defeat Jack Green(8’5 ¾”) and Jarod Deckard (8’4 ¾”). 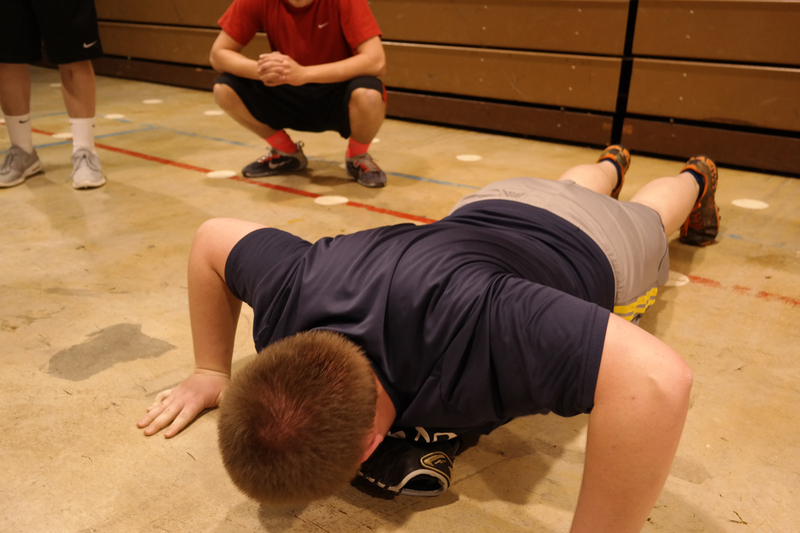 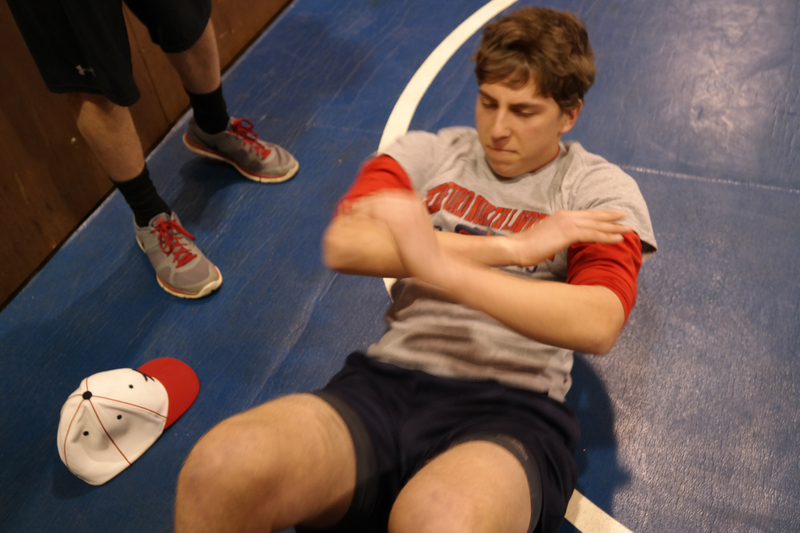 Jarod Deckard won the one minute sit-up battle with 64 while Jacob Prince(57) and Jake Miller(52) finished second and third. 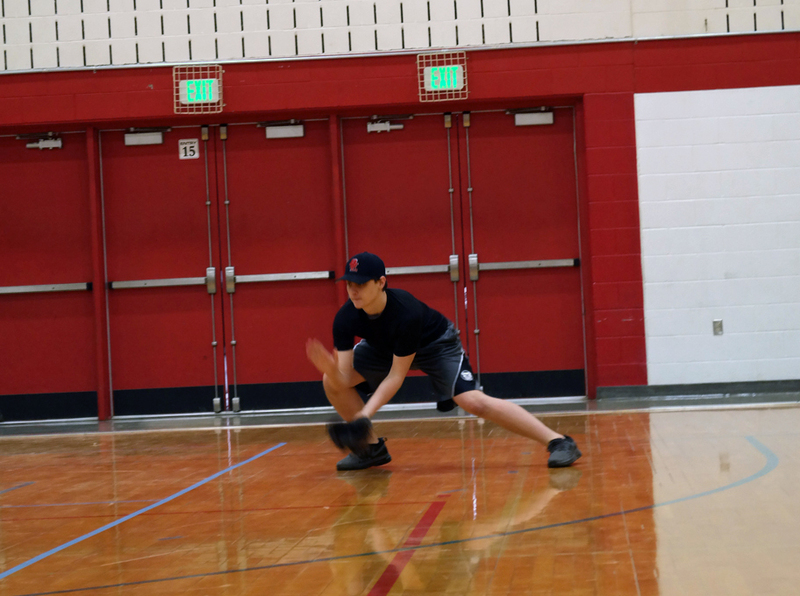 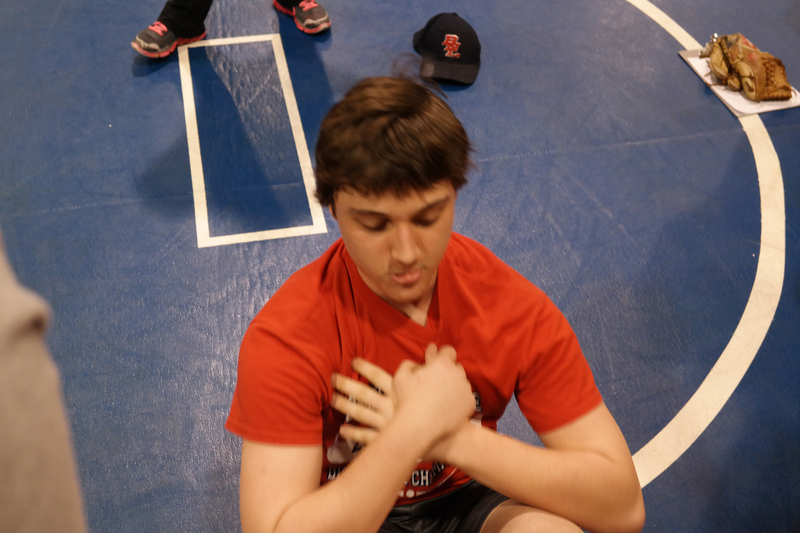 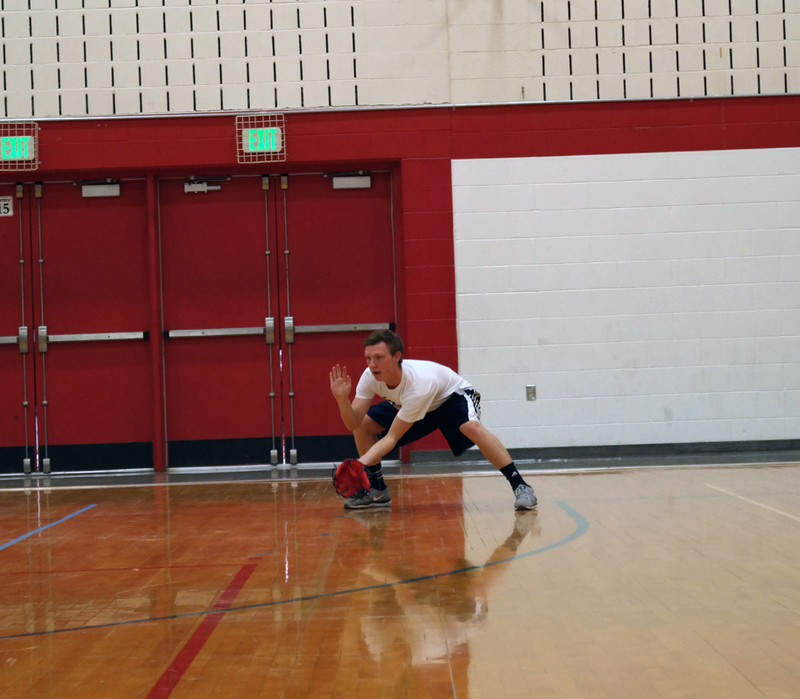 The 9-pocket throwing event needed extra throws as Brody Tanksley defeated Jake Alvey in the throw-off round. 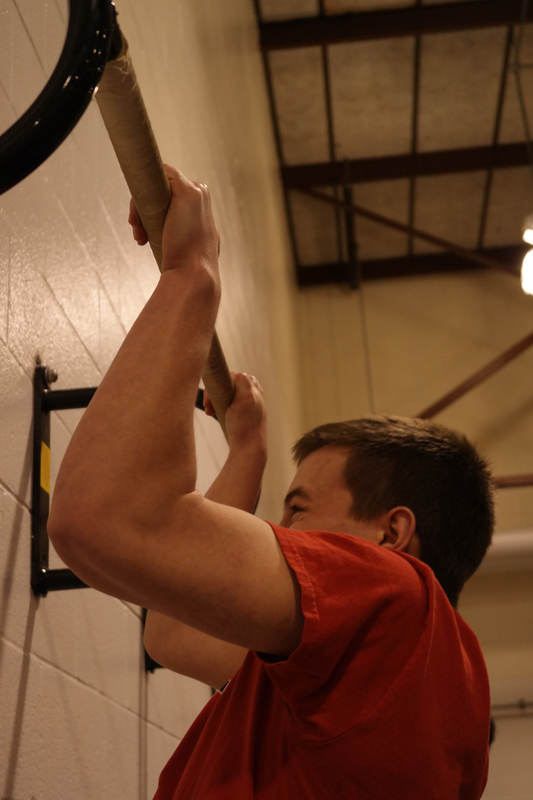 Tanner McBride finished 3rd. 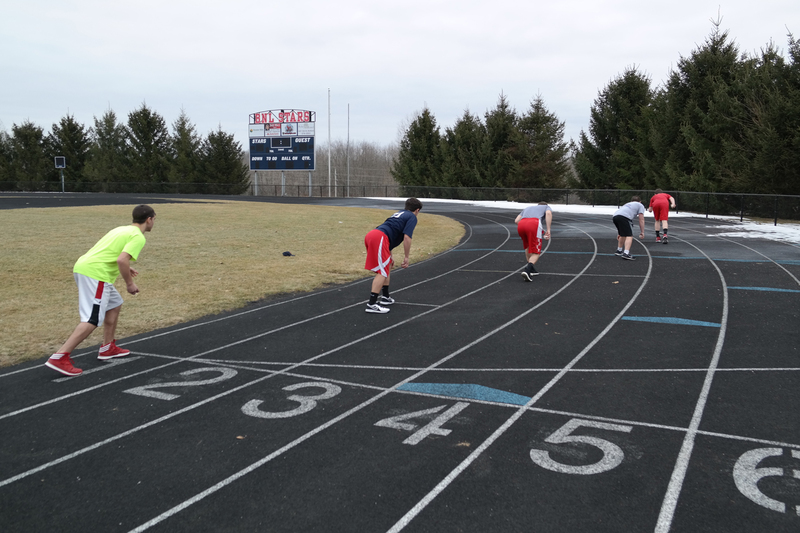 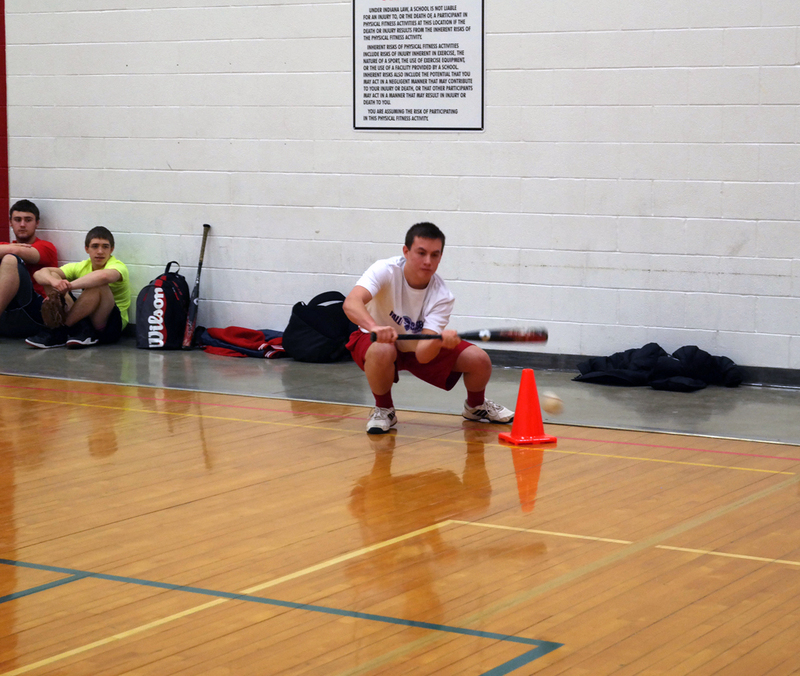 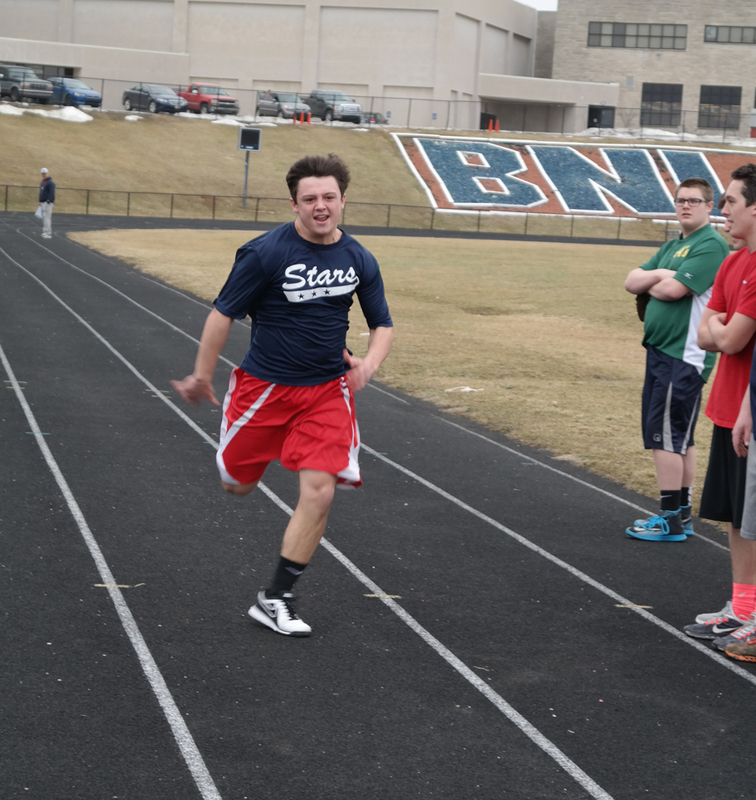 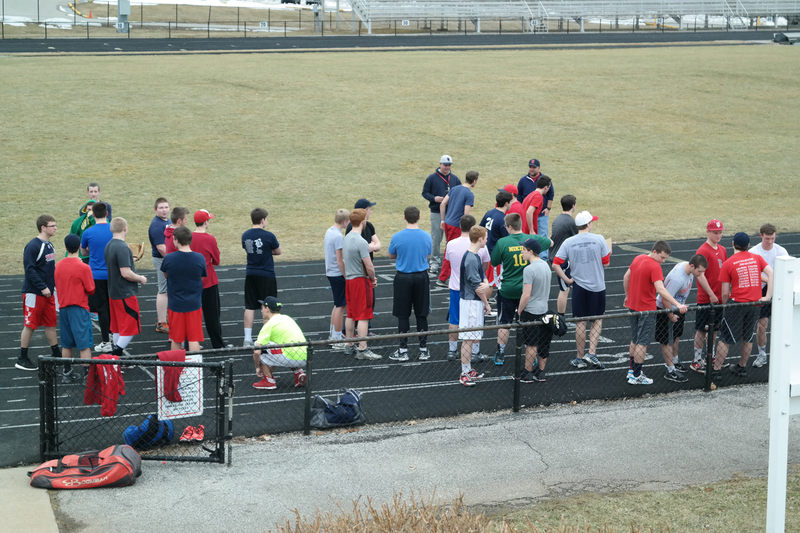 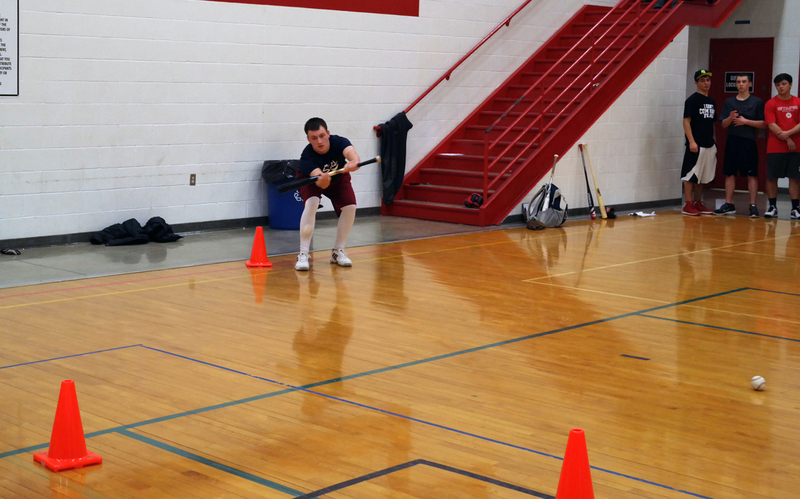 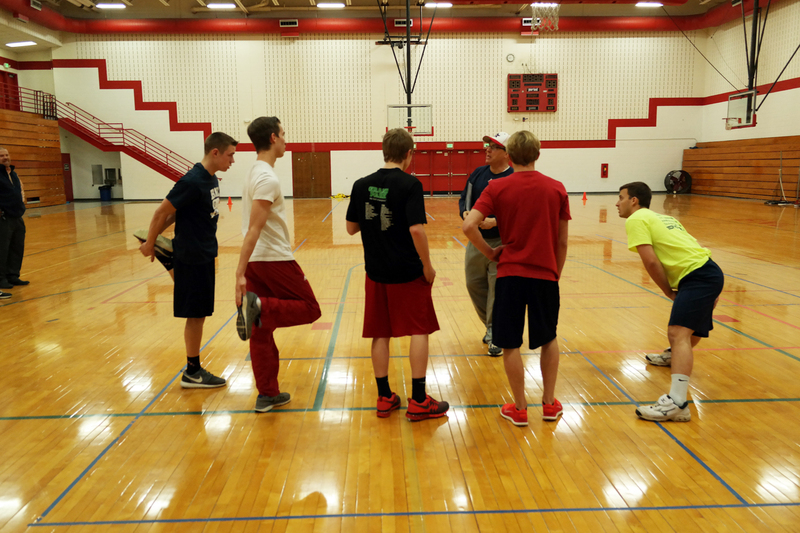 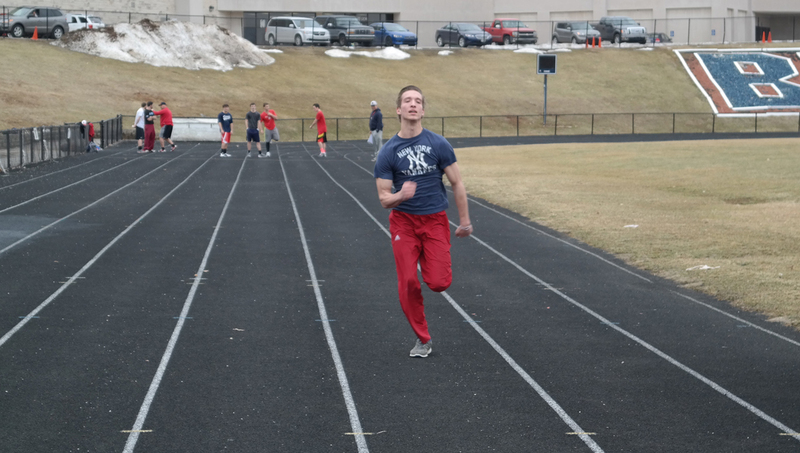 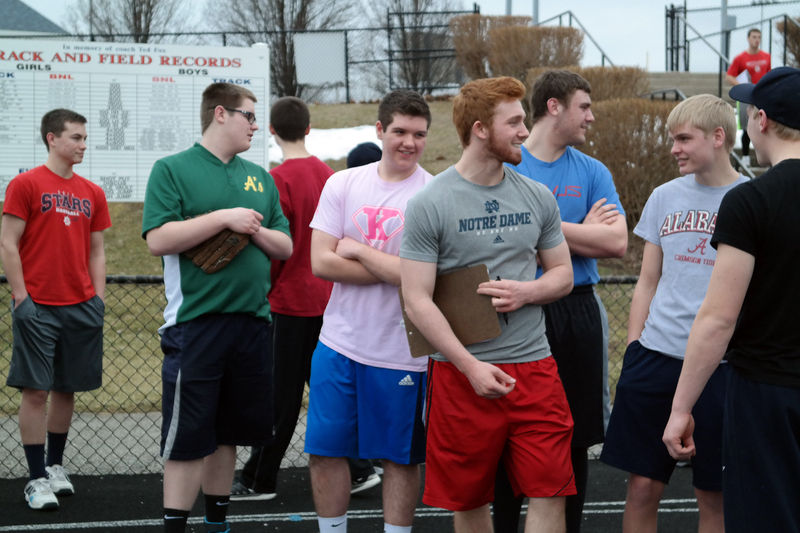 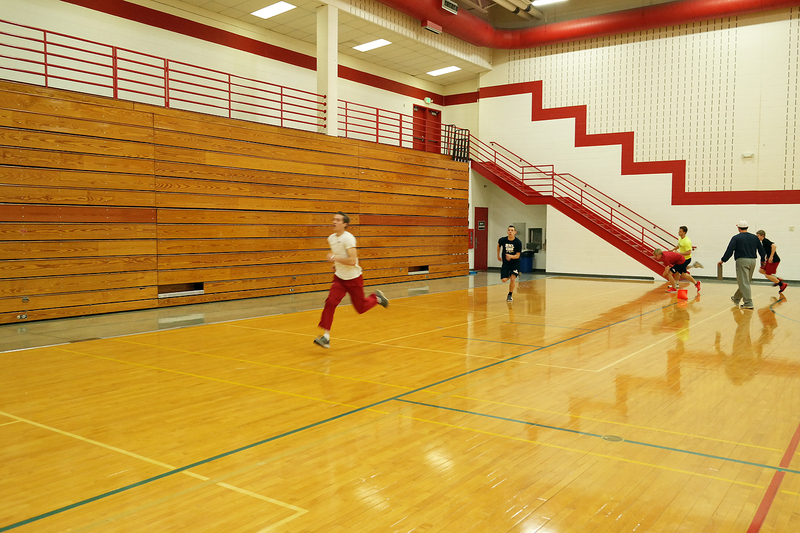 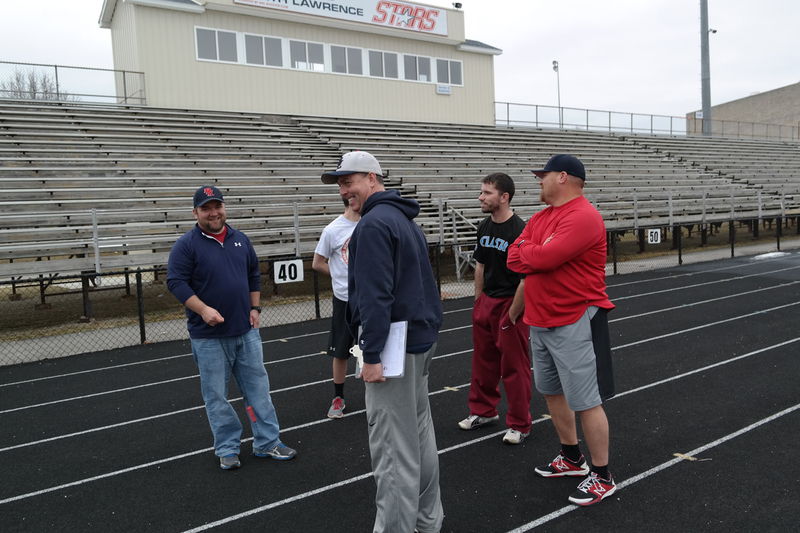 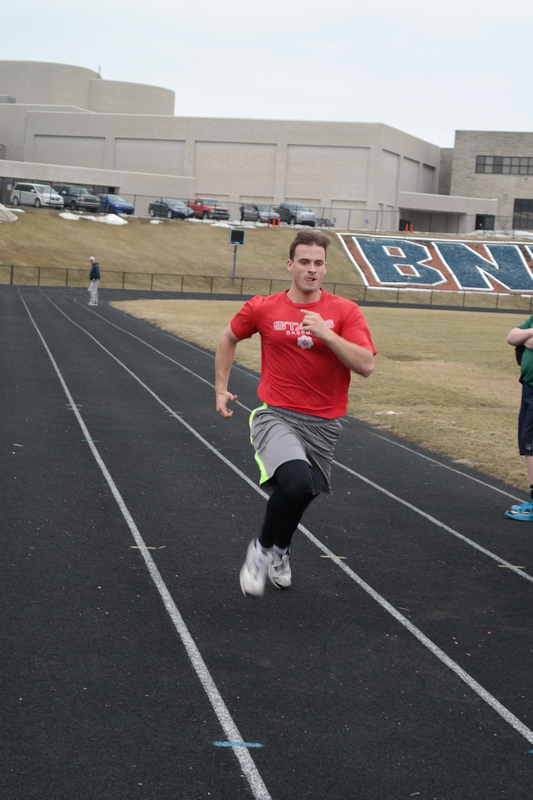 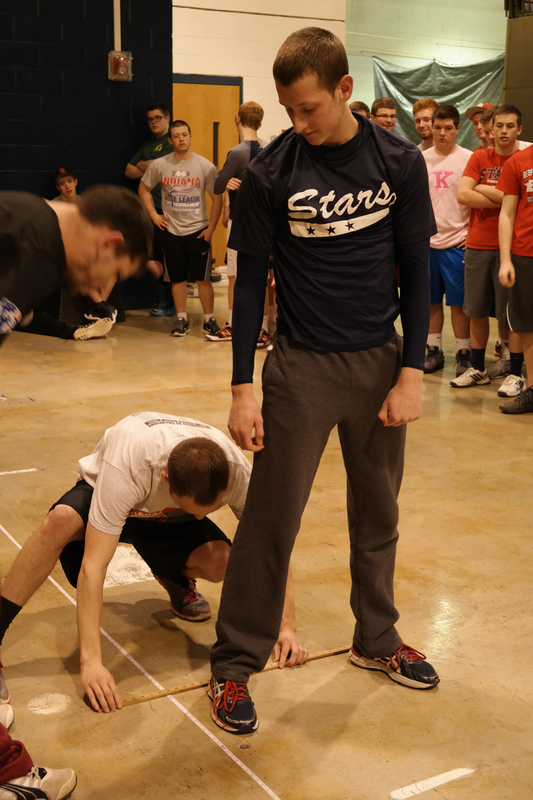 The competition then moved outside for the 60-yard dash and 4x100 meter baseball relay. 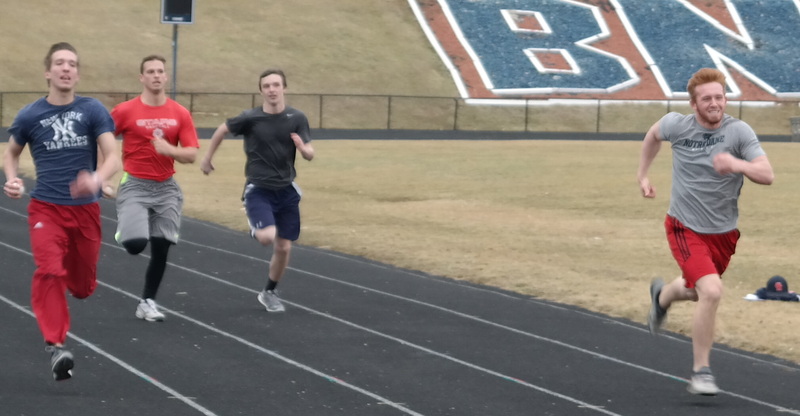 Jack Green showed his speed winning the 60 followed by Caleb Bowman and Ronnie Watson. 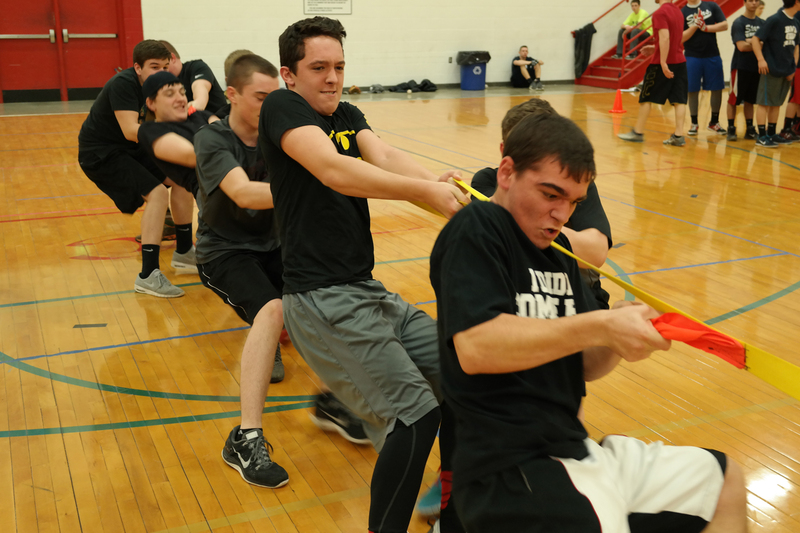 The final event for day one saw Team Black take the crown in the 4x100 relay. 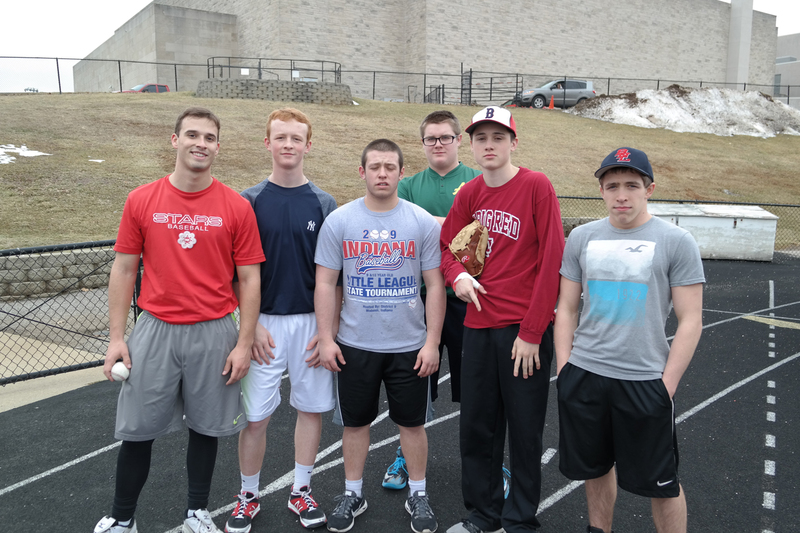 Team White and Red finished a distant 2nd and 3rd. 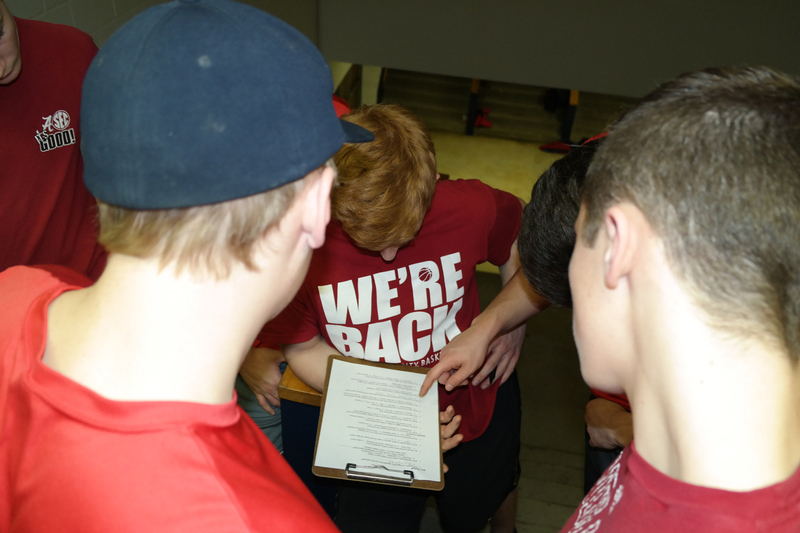 After day one, the scores were Team Black(68) with the slim lead, Team White(64), Team Blue(60), Team Green(46) and Team Red(40). 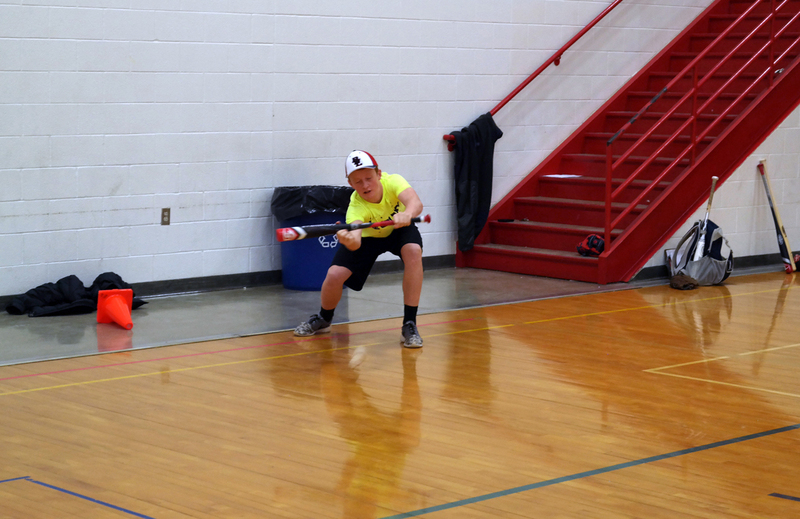 Day 2 would not disappoint. 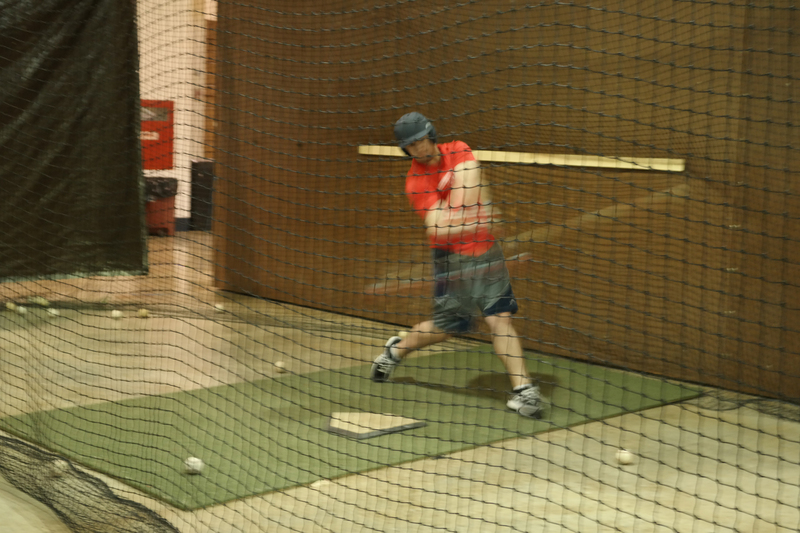 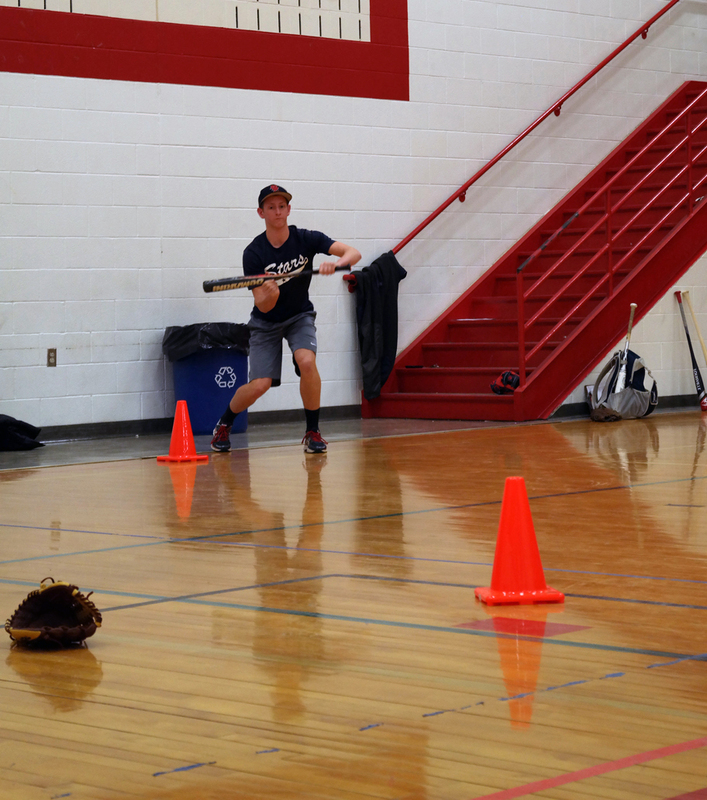 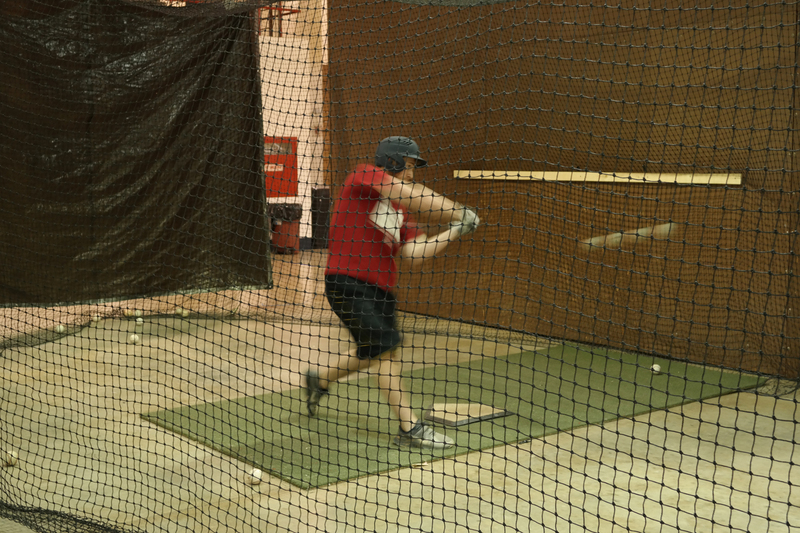 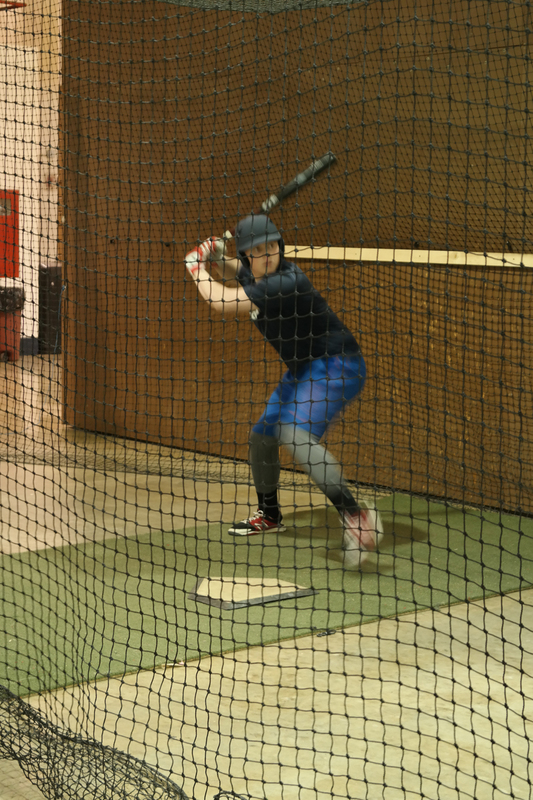 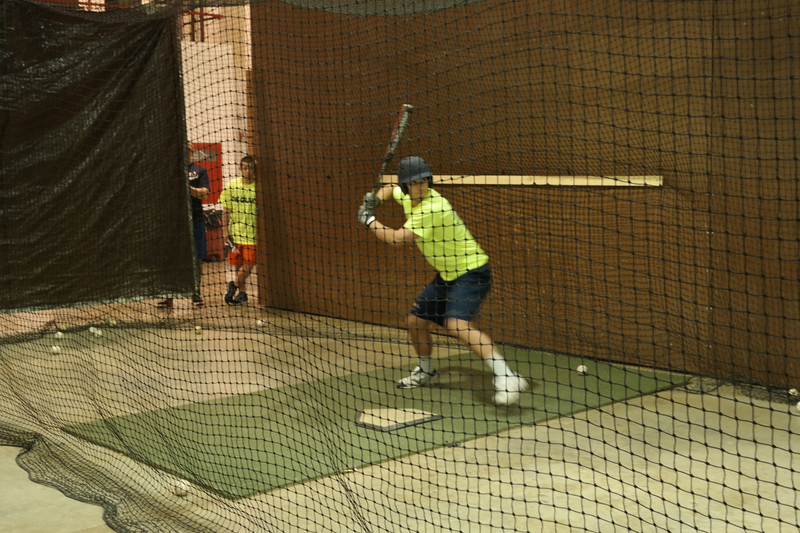 The batting cage was the first stop for the competition. 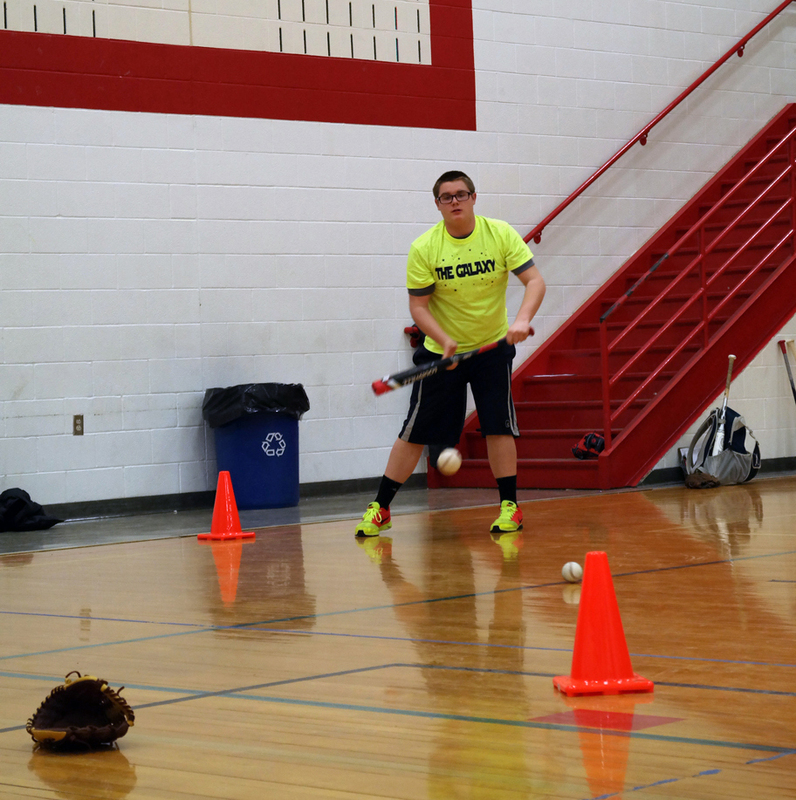 In the hitting portion, Austin Long outhit Jack Green and Brody Tanksley to win the silver slugger. 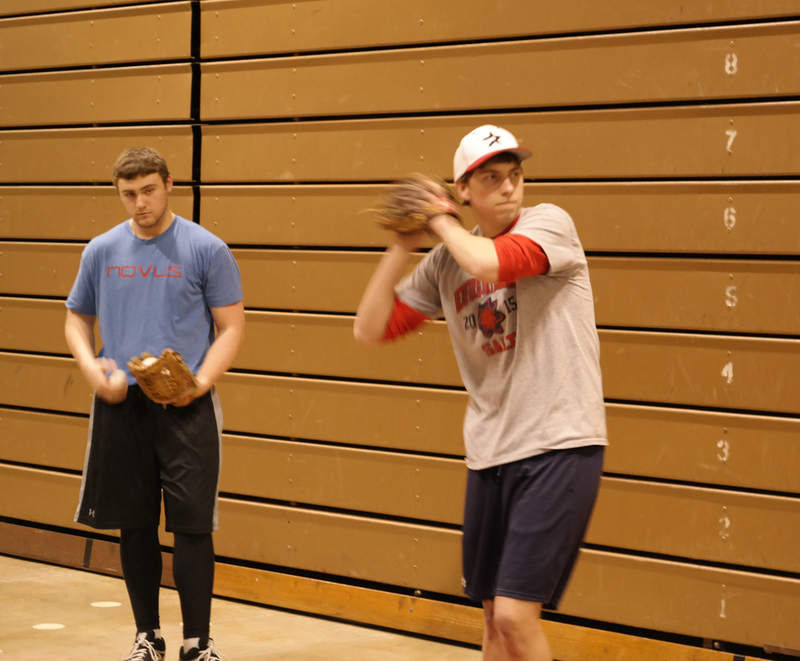 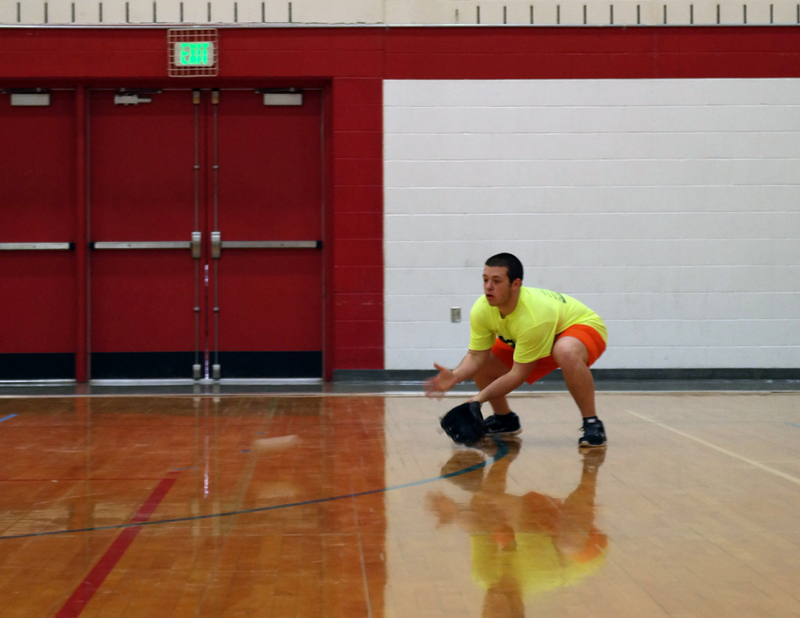 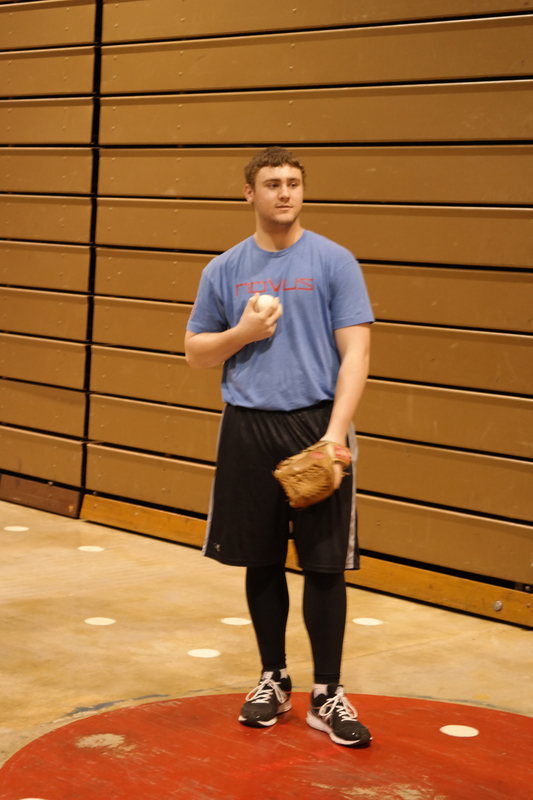 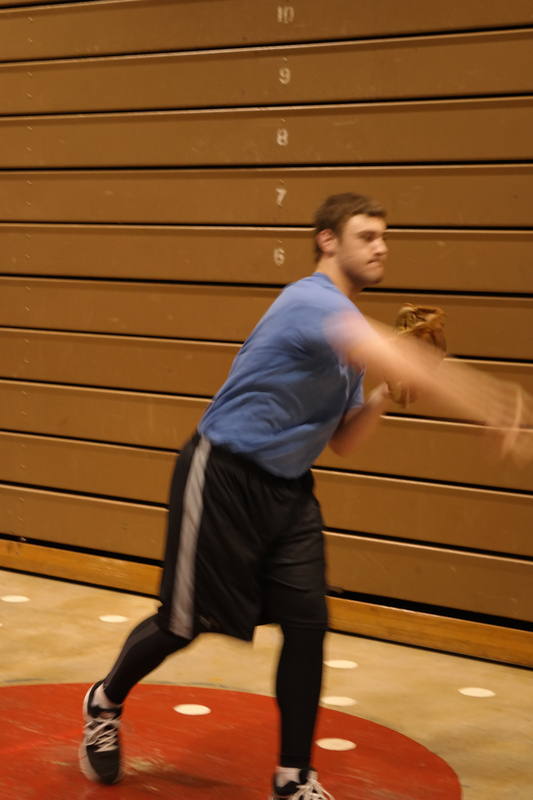 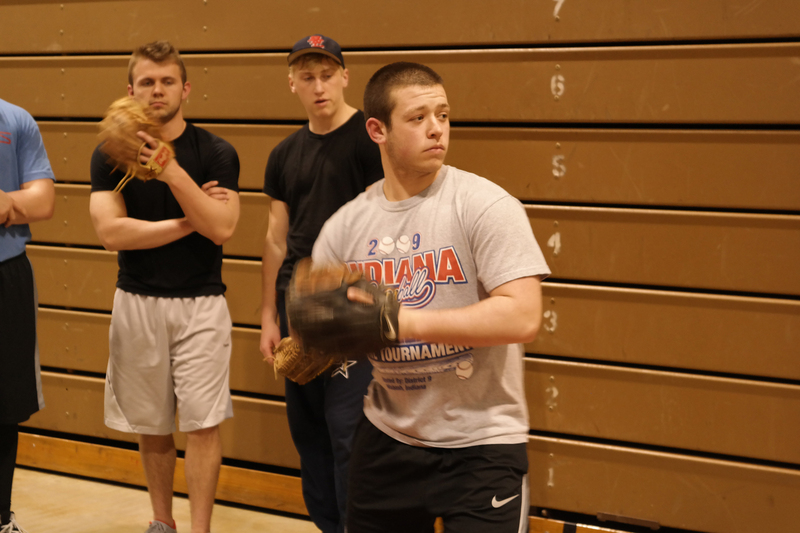 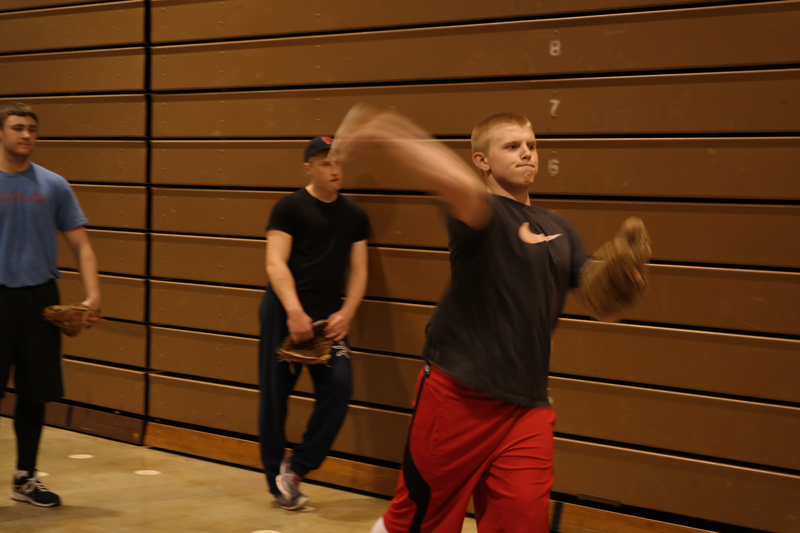 In the gold glove event, Cole Mathews beat out Drew Hensley and Koby Byers. 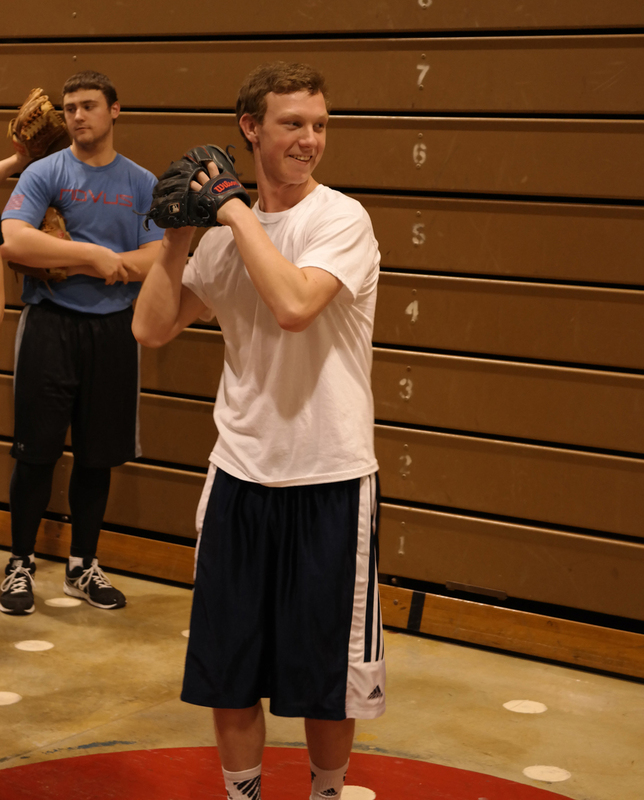 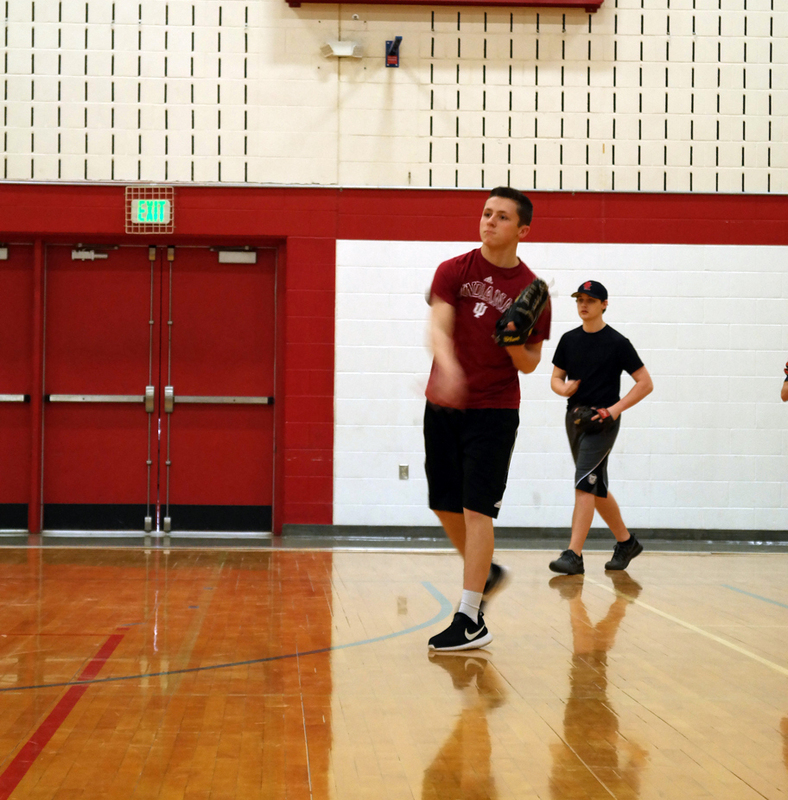 Michael Underwood bunted to the win with a perfect score of 25 points. 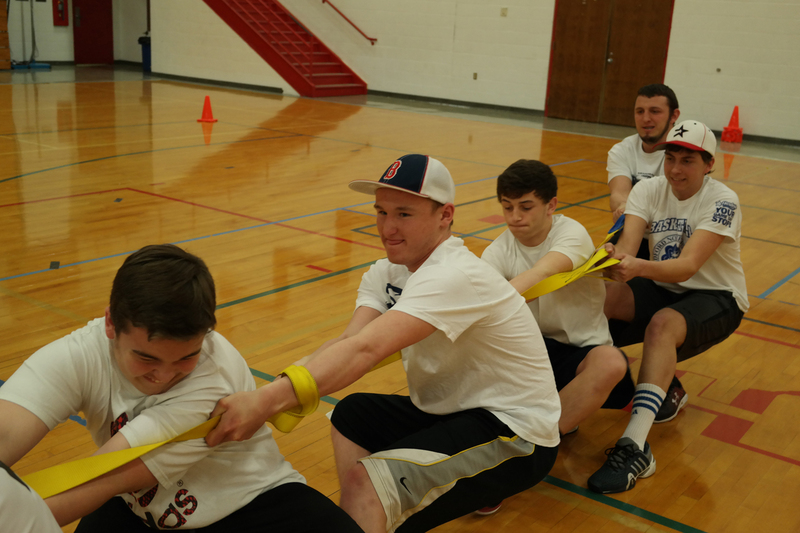 Garrett Ramsey and Brandt Callahan tied for 2nd place. 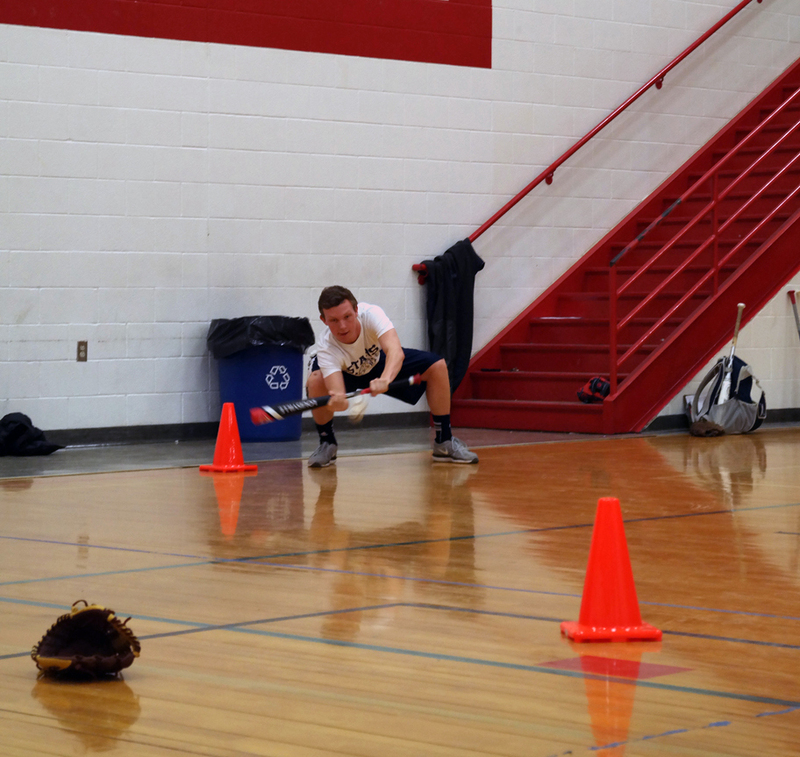 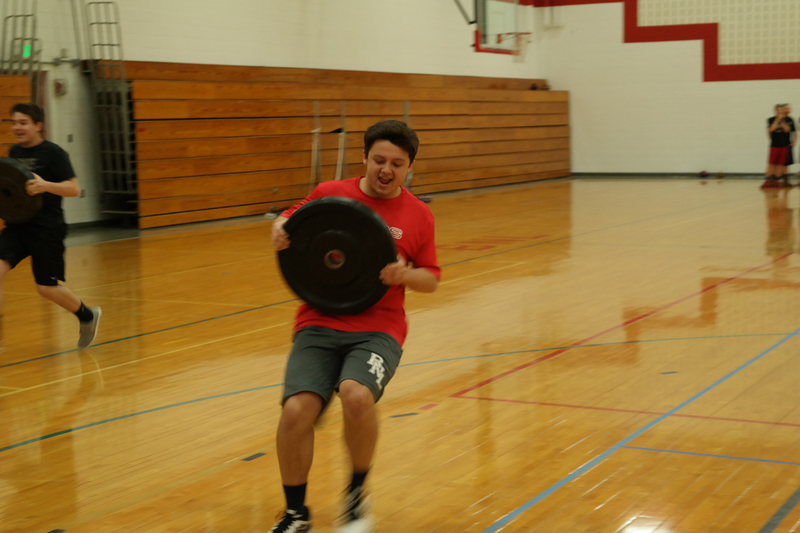 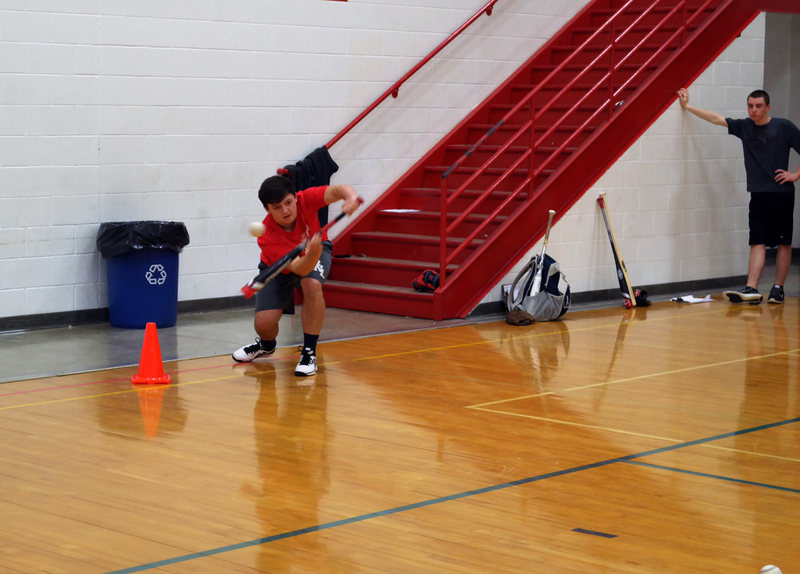 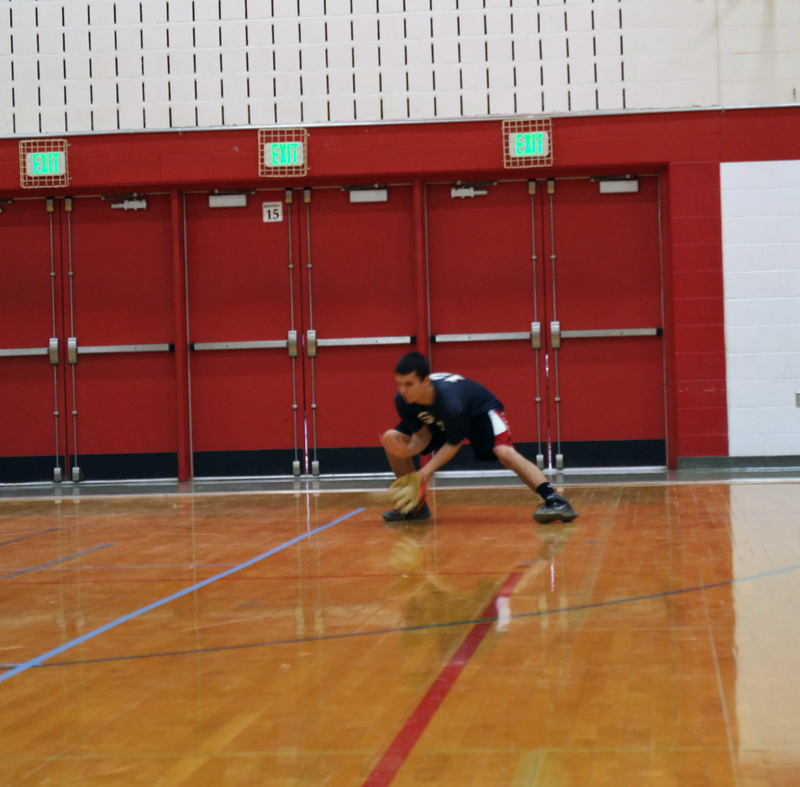 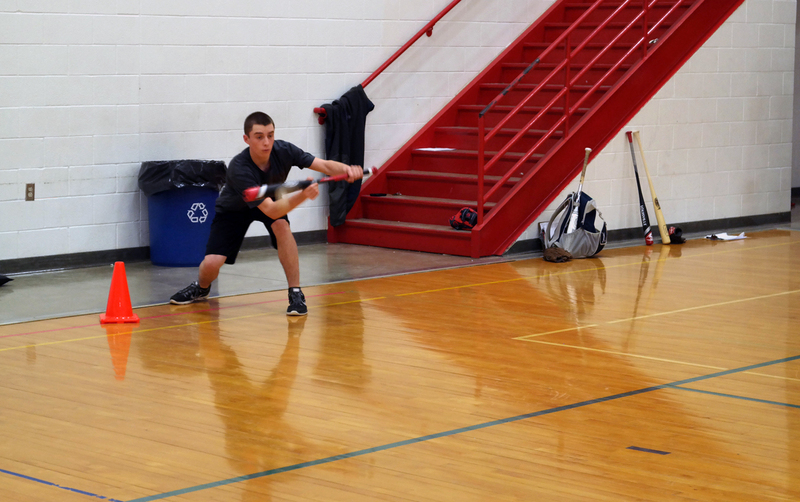 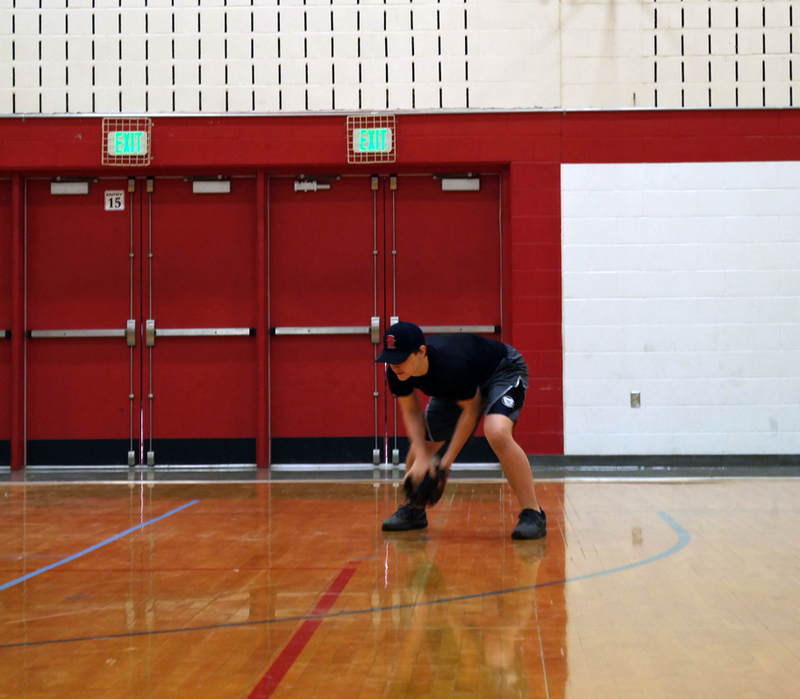 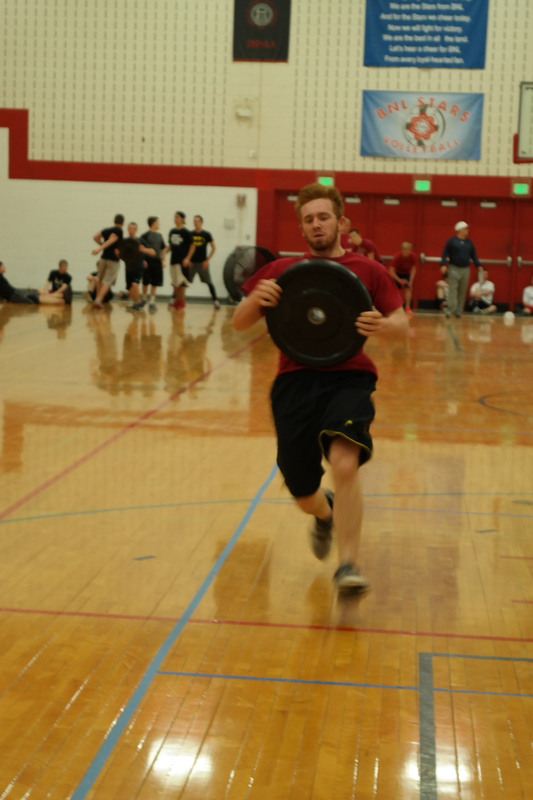 In the team relay, Team Blue proved to be the best at running and handing off the 45 lb. 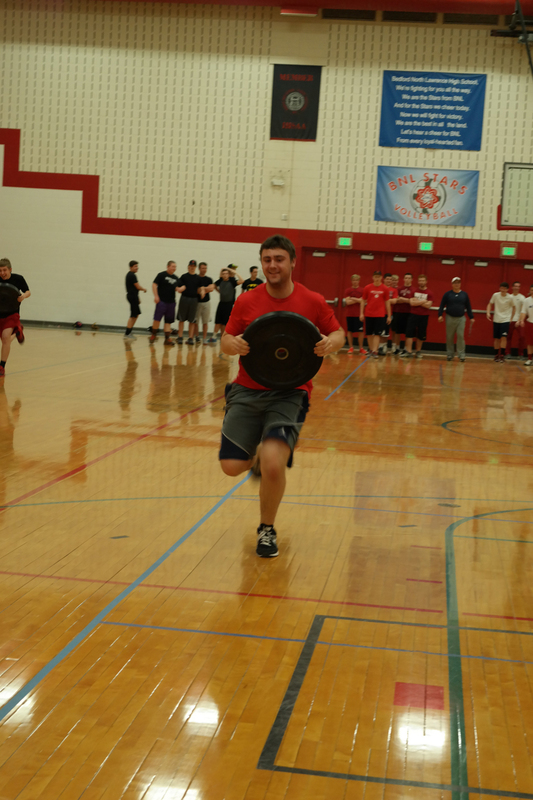 plate with Team Black and Team Red finish 2nd and 3rd, respectively. 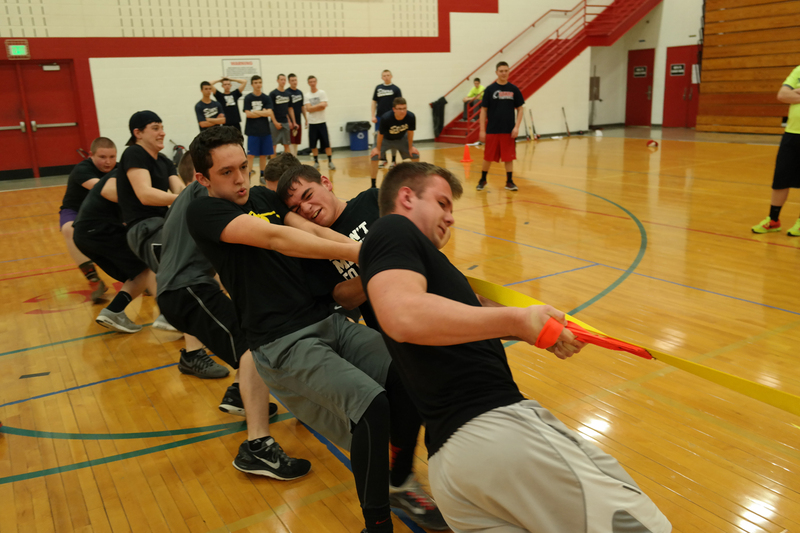 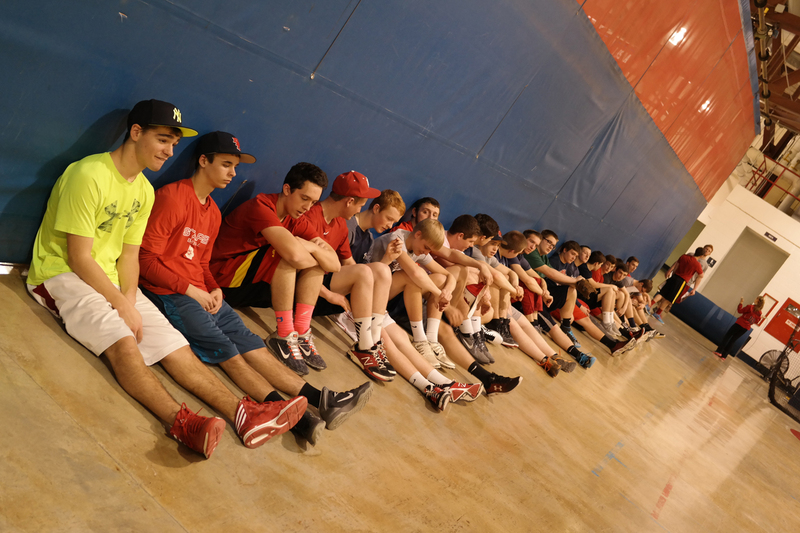 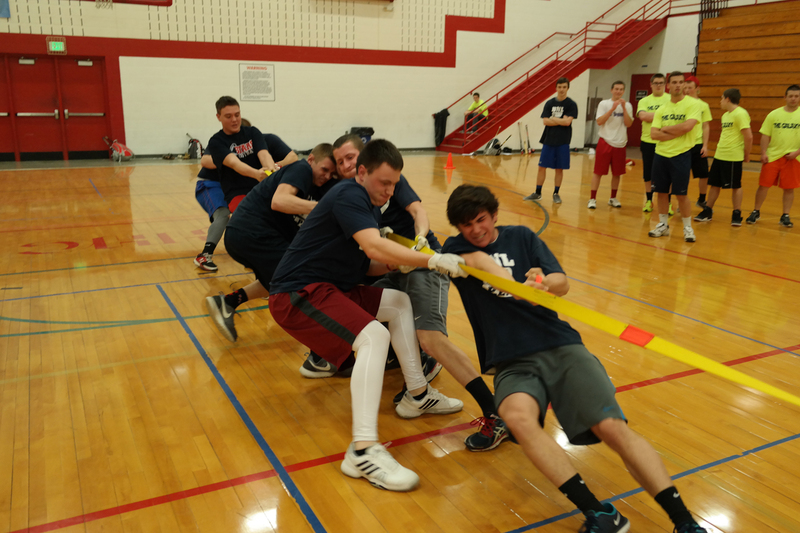 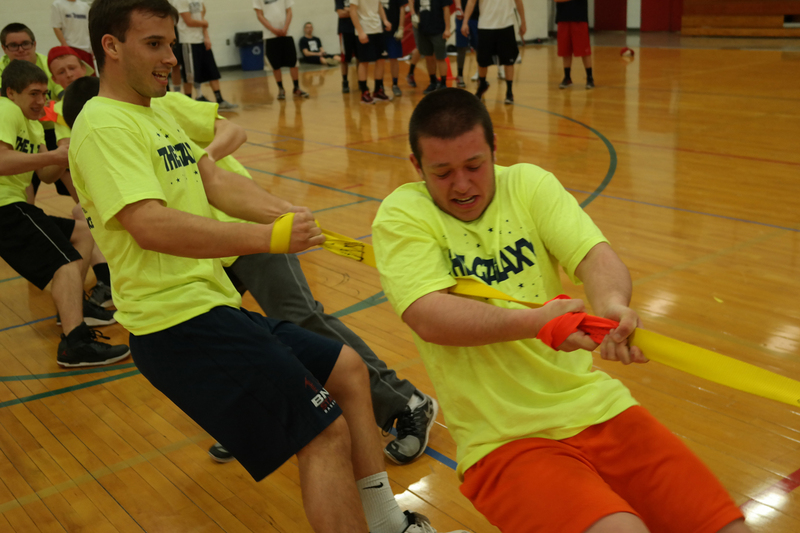 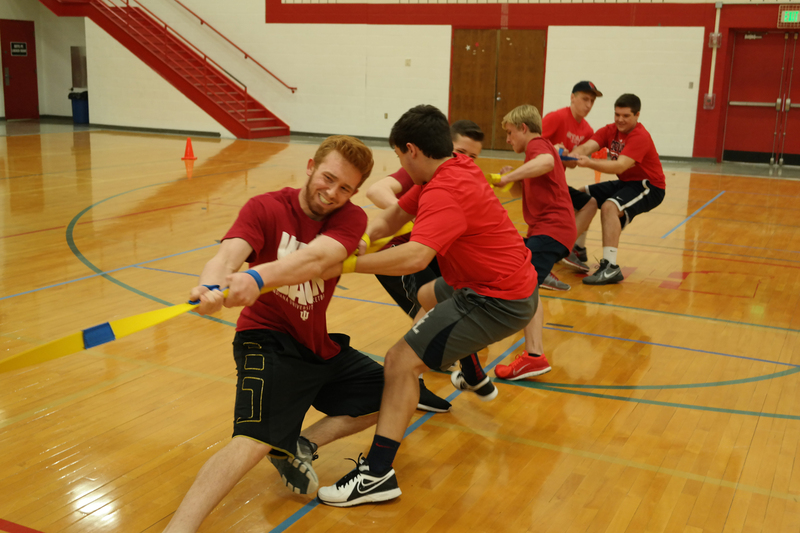 Team Red proved to be the strongest of the teams with an impressive win in the tug of war. 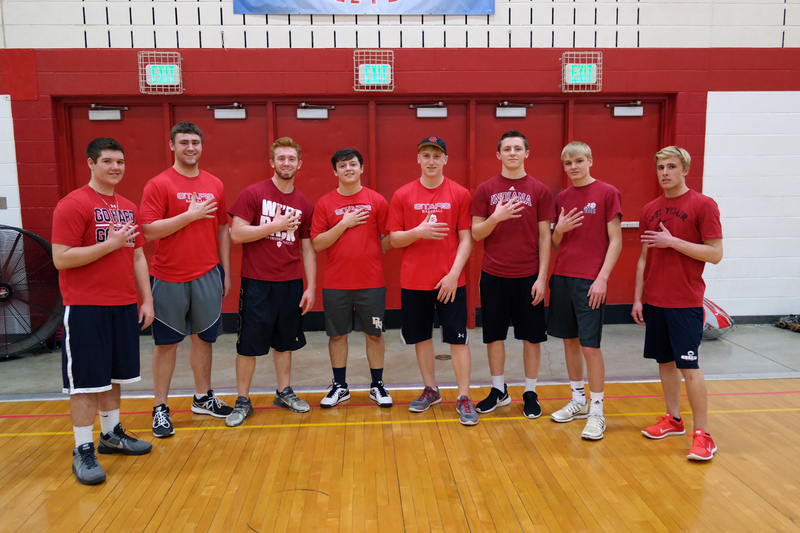 Team Red defeated Team Black in the championship round. 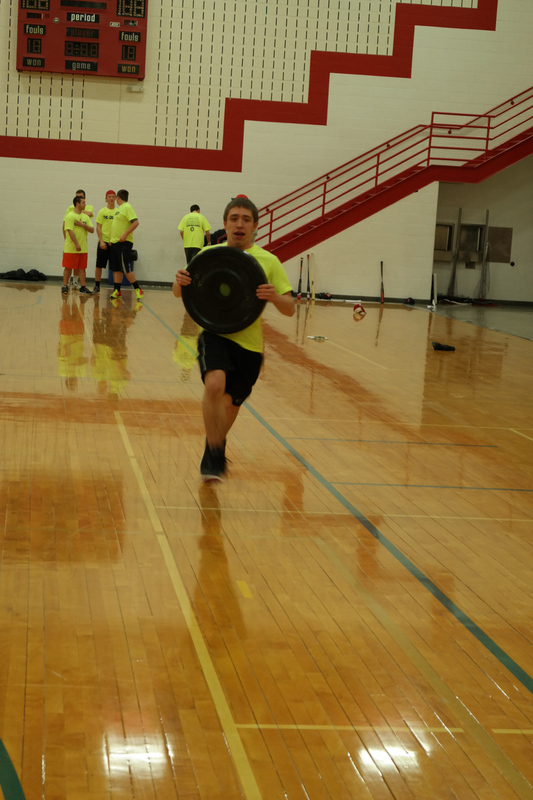 Heading in to the final event, only 1.5 points separated Team Blue and Team White for 1st place. 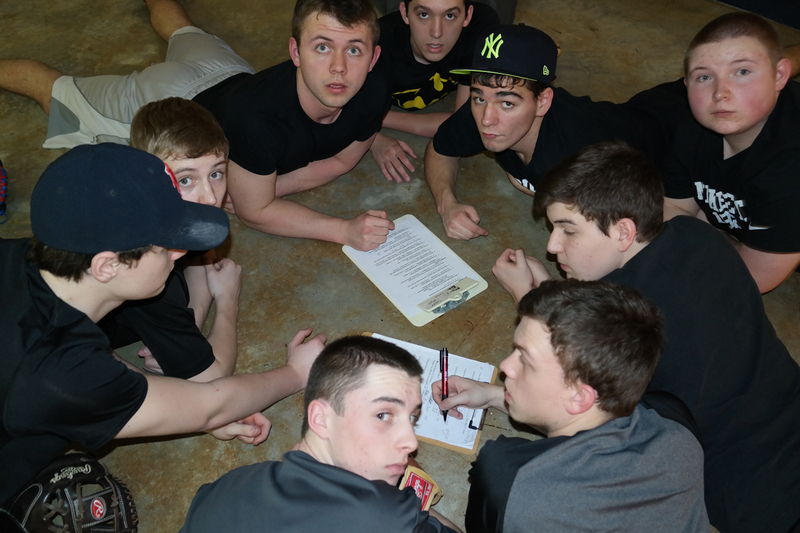 It came down to the 20 point baseball quiz to determine the champion. 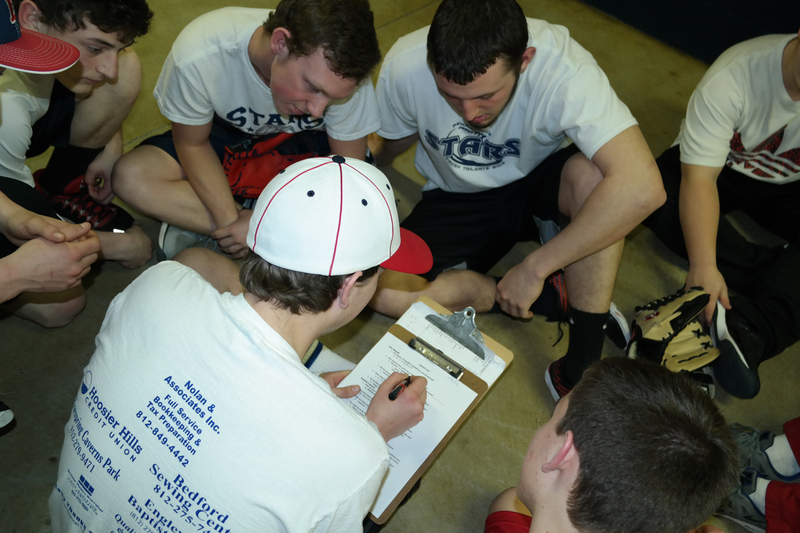 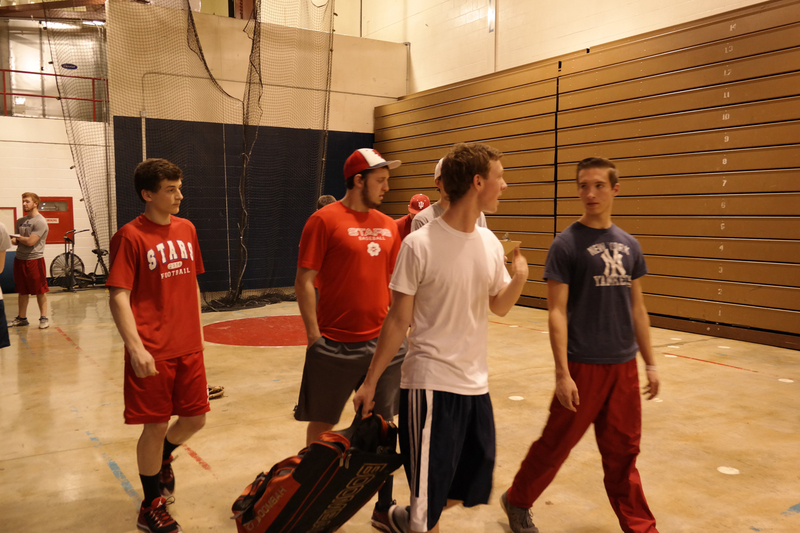 Team Blue showed their baseball knowledge with a perfect score to seal the victory. 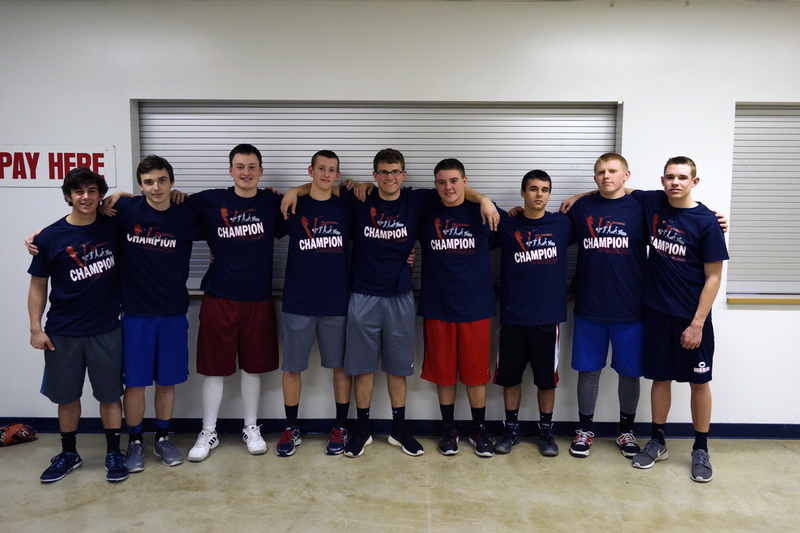 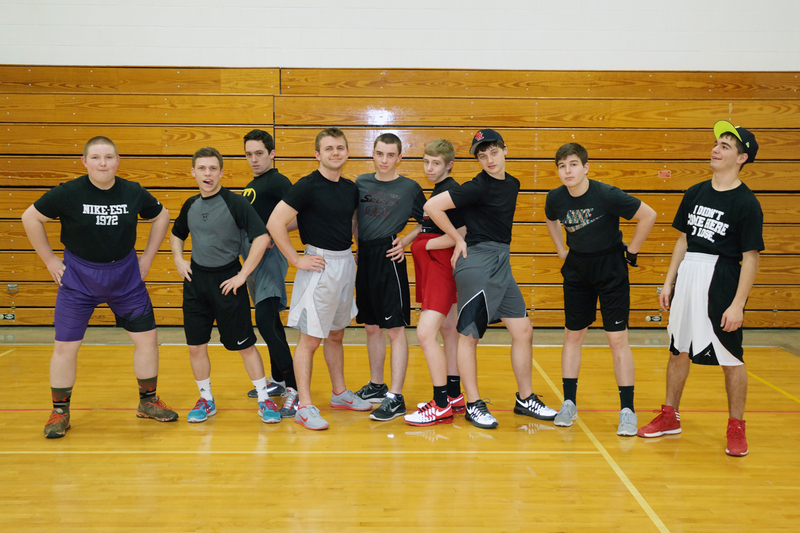 Team Blue celebrated the win and donned the Victory Challenge 2015 Championship T-shirts. 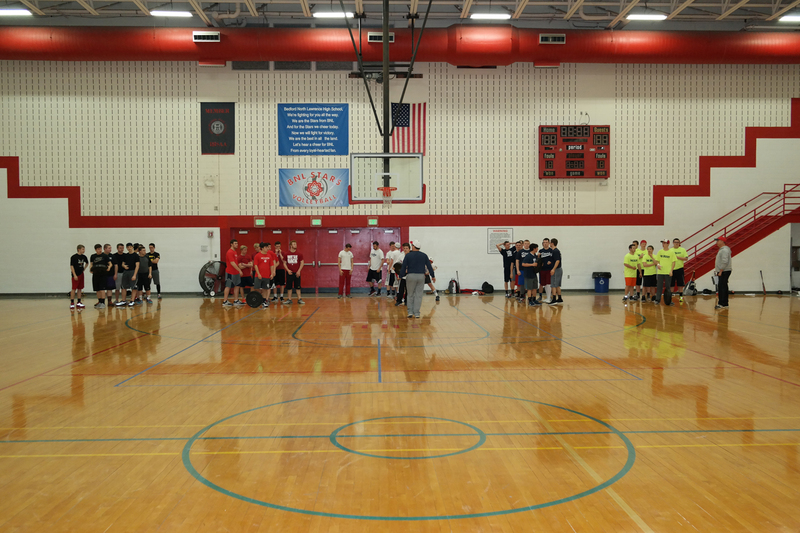 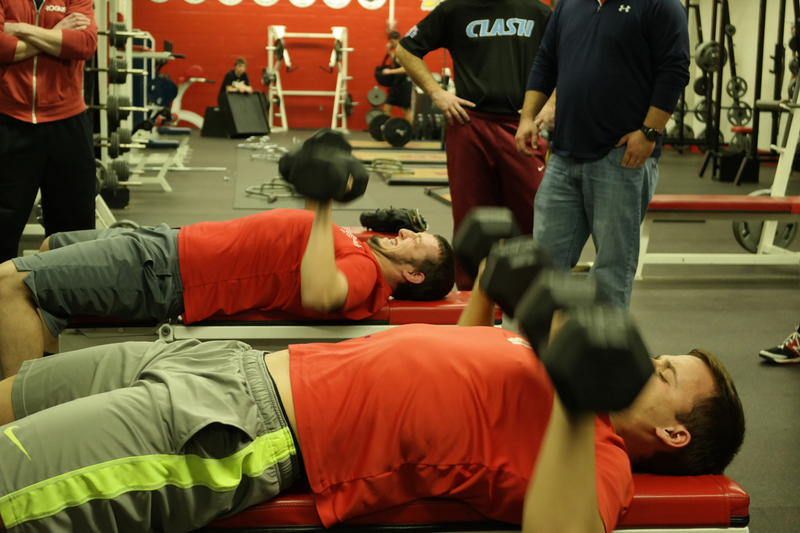 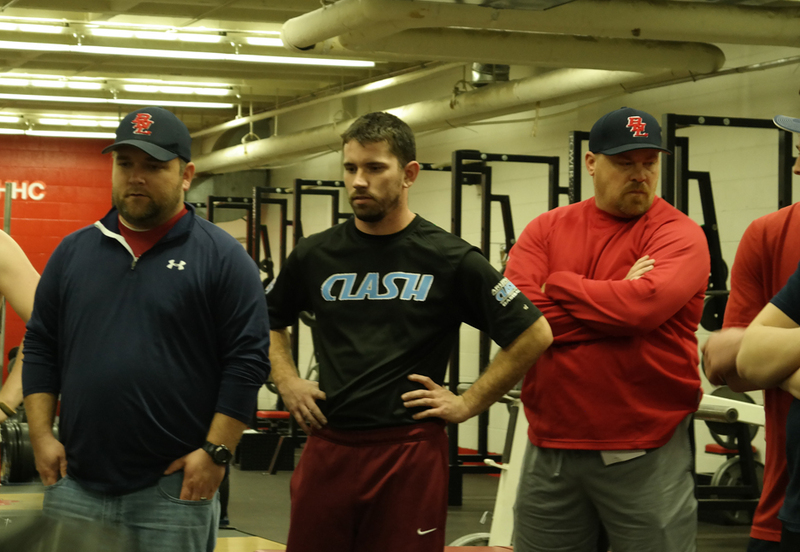 2015 Victory Challenge II was a huge success. 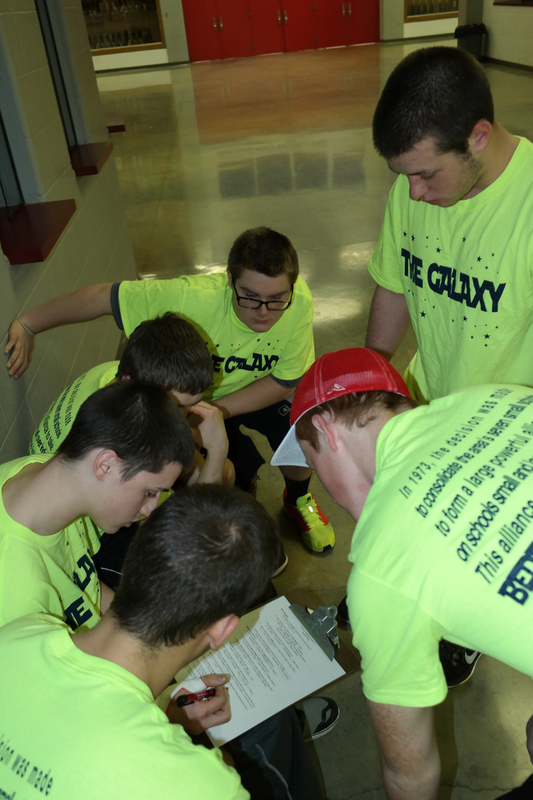 Each player contributed to their team and made this a special event. 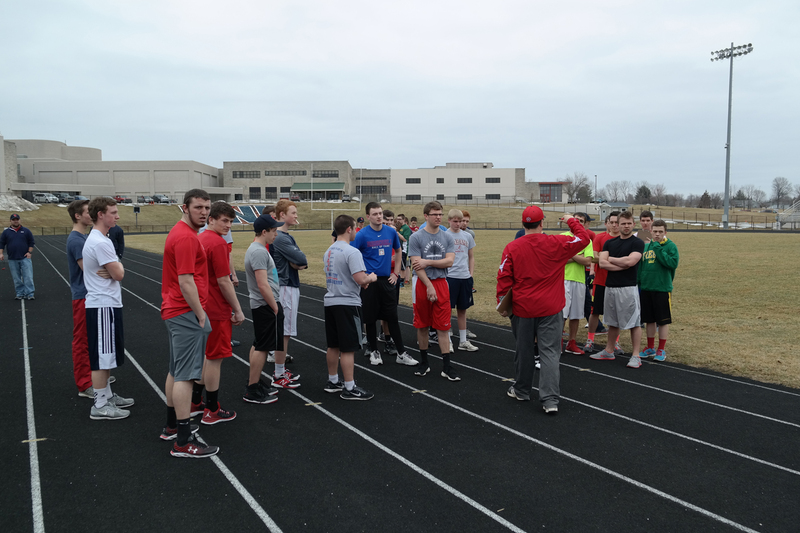 This was a great way to wrap up conditioning as we head to the start of practice on Monday, March 16th.